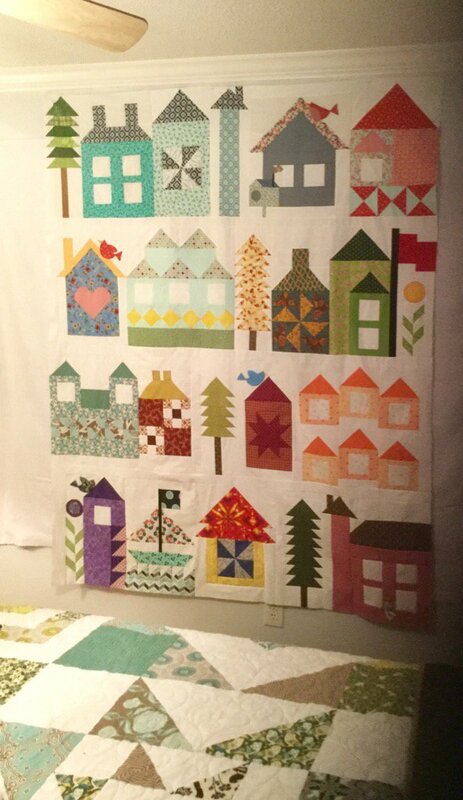 VISIT OUR BLOG EACH MONDAY TO DOWNLOAD YOUR FREE BLUEPRINT AND BUILD YOUR NEIGHBORHOOD. 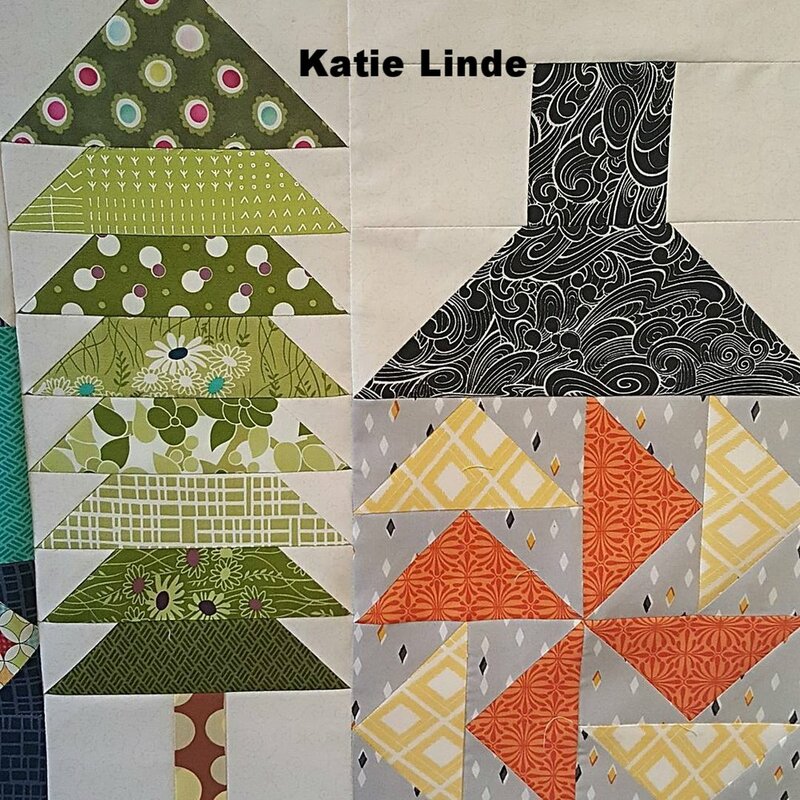 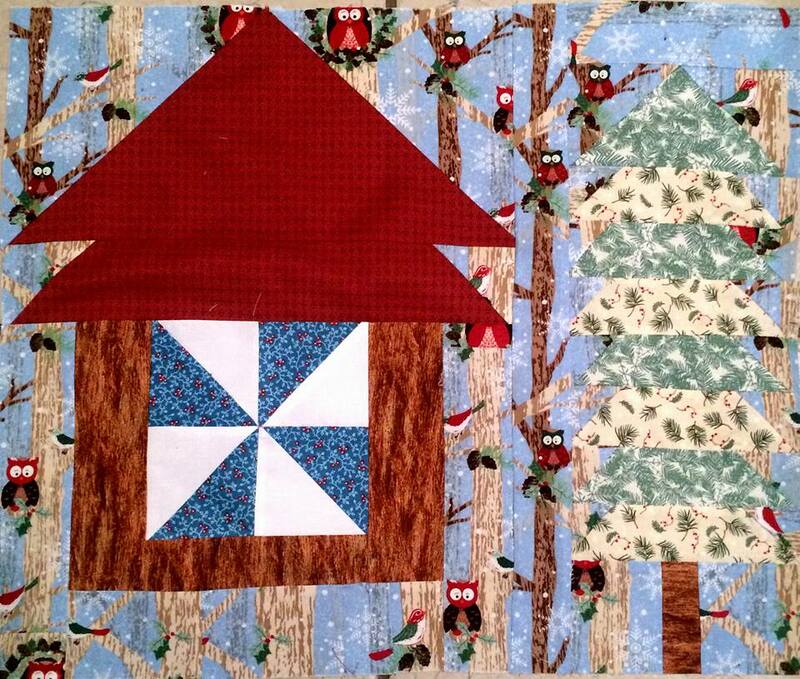 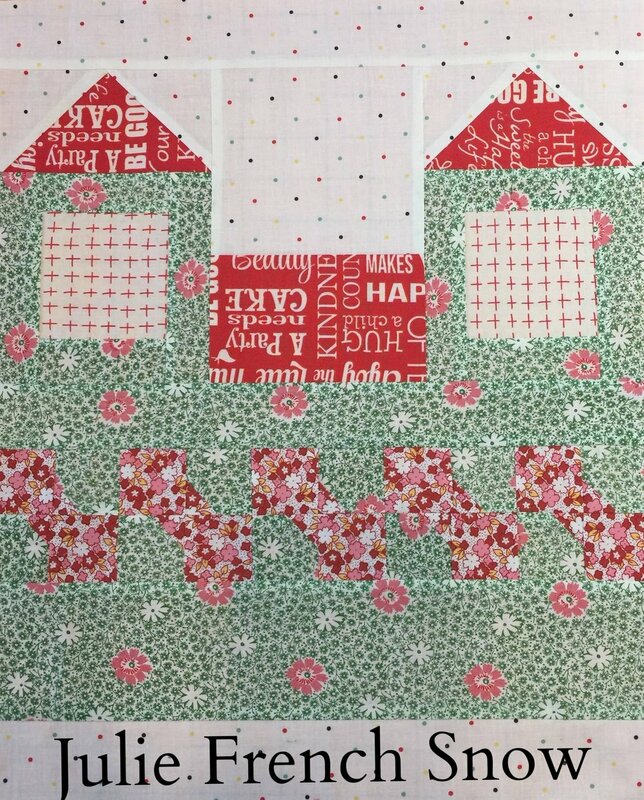 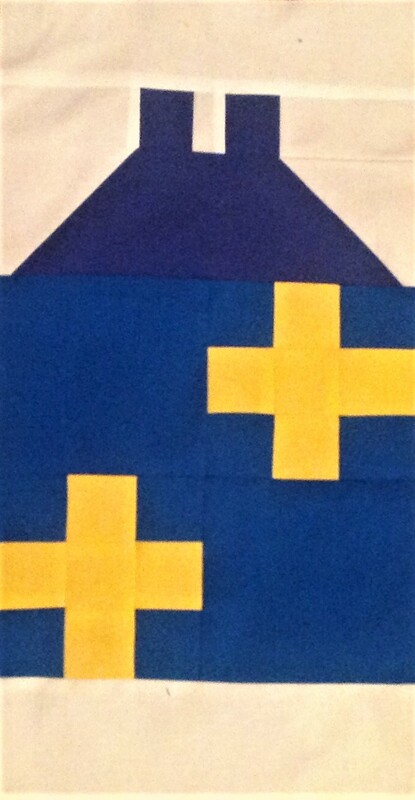 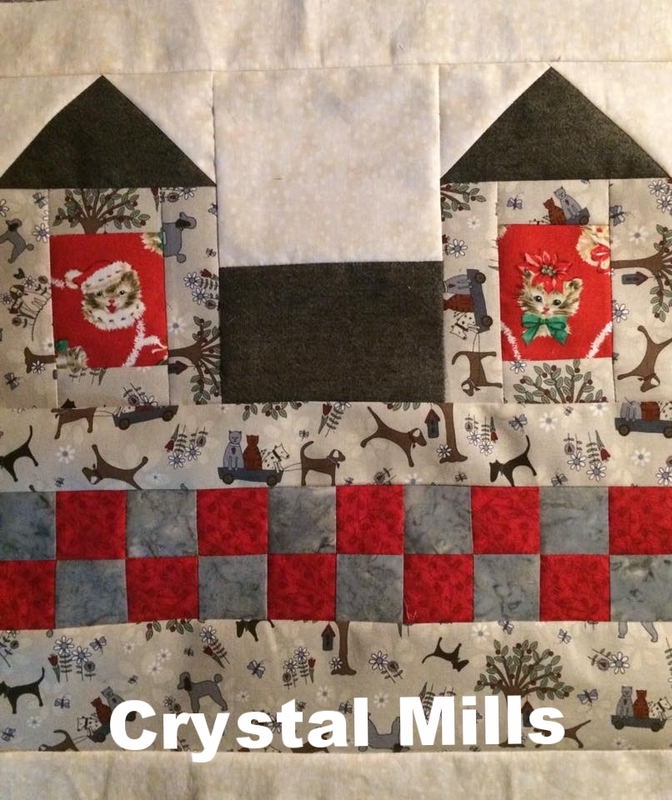 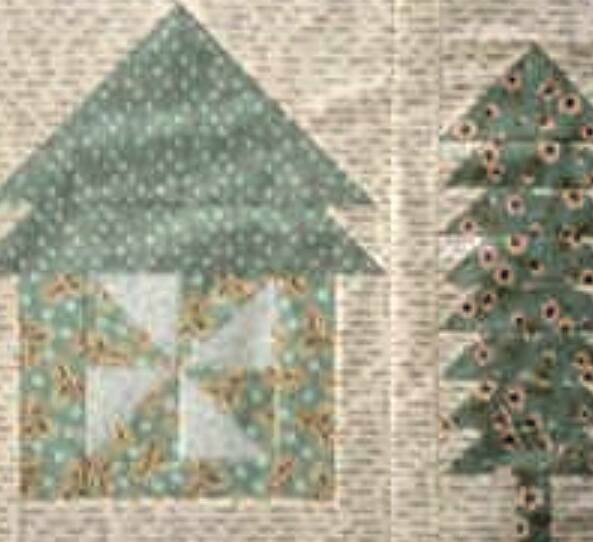 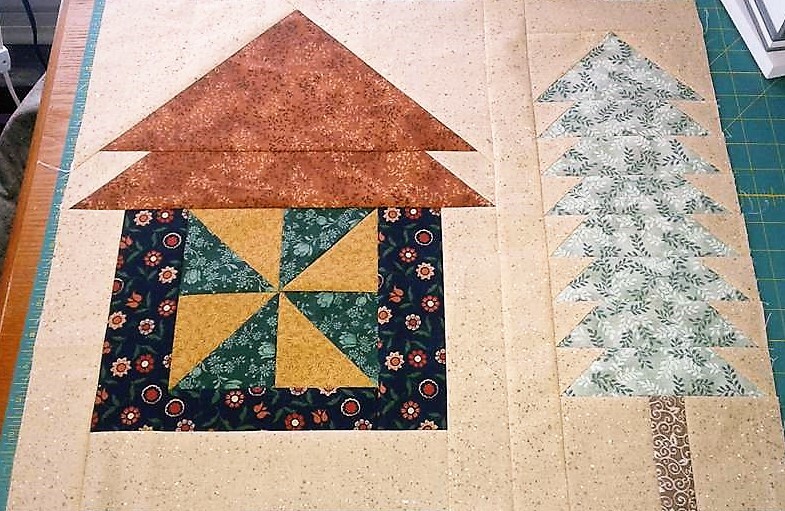 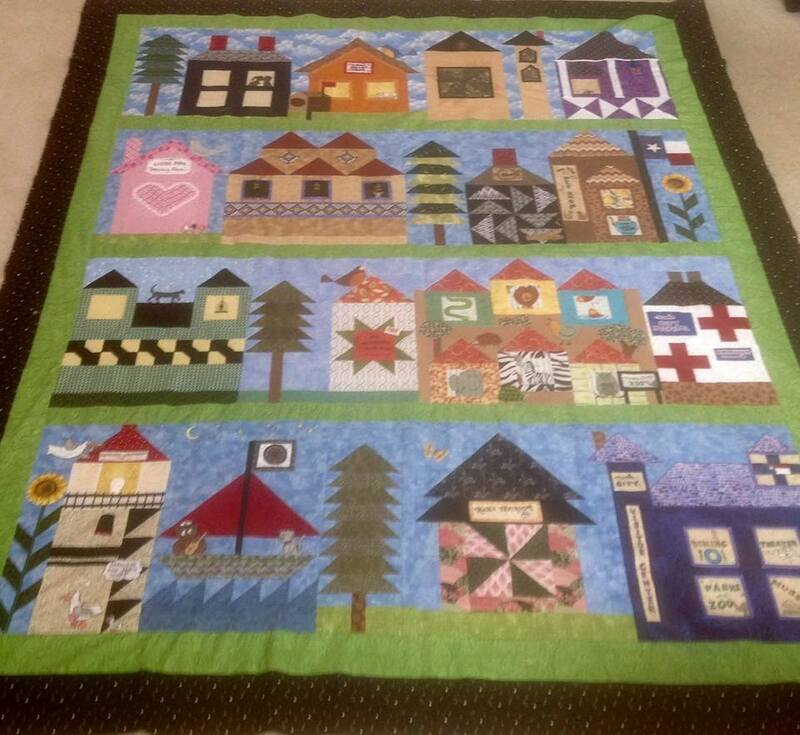 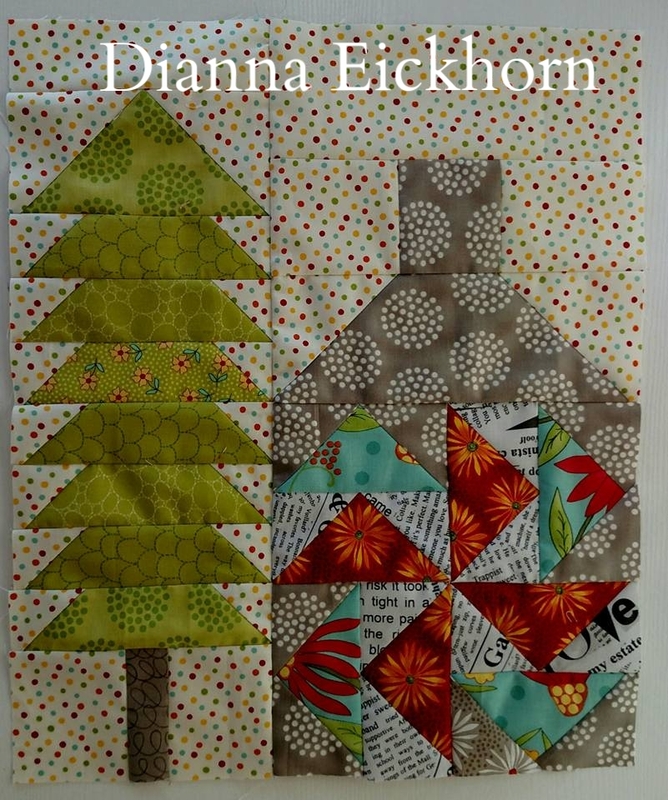 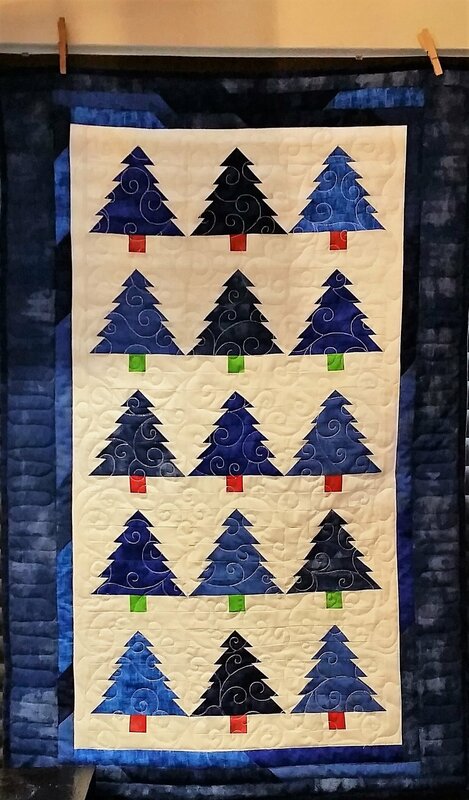 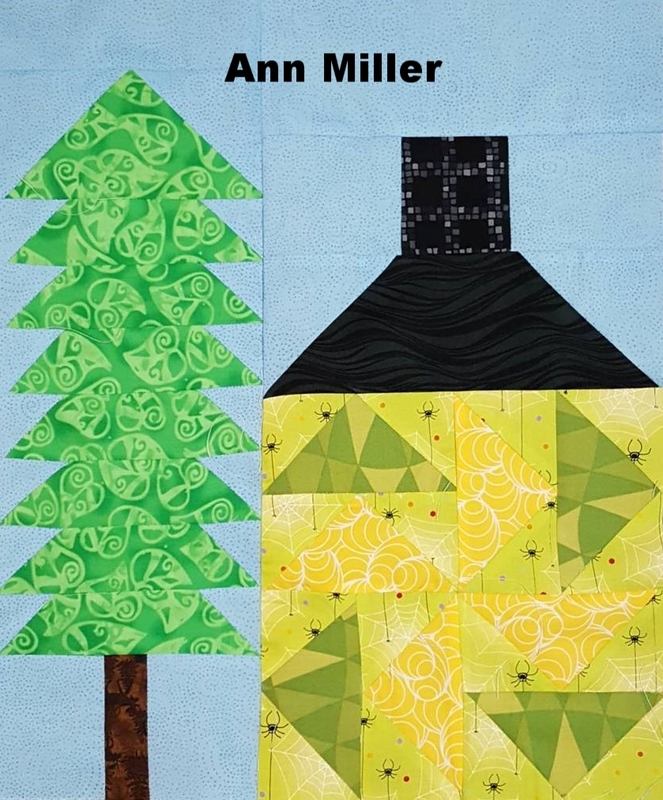 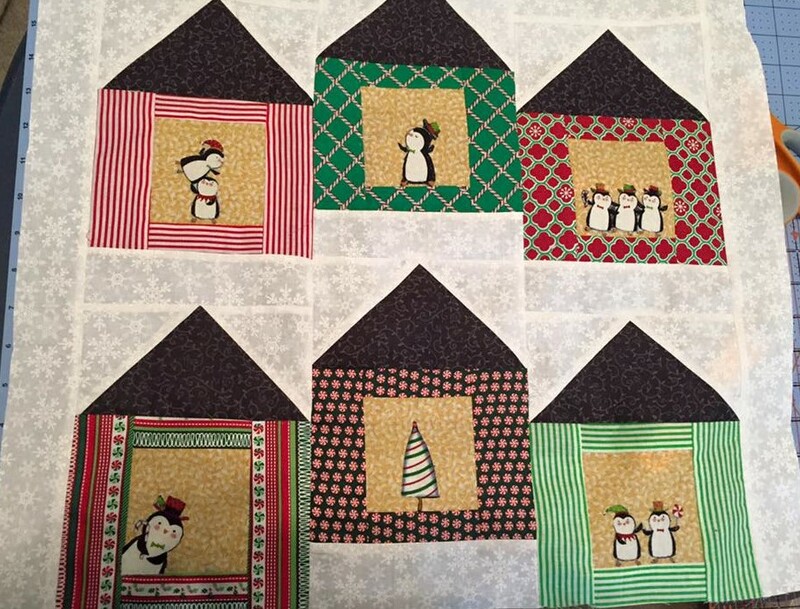 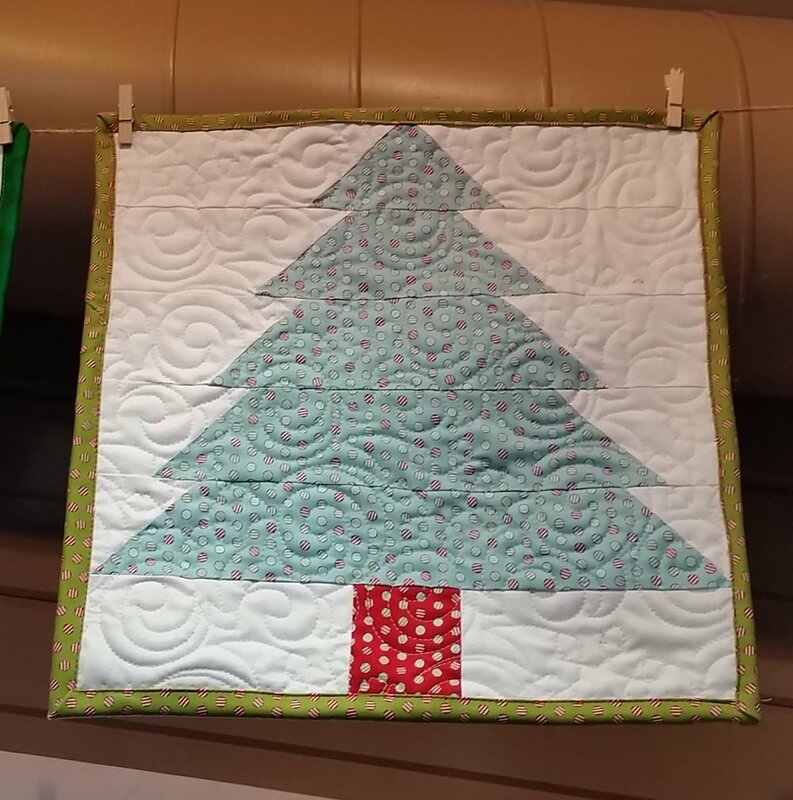 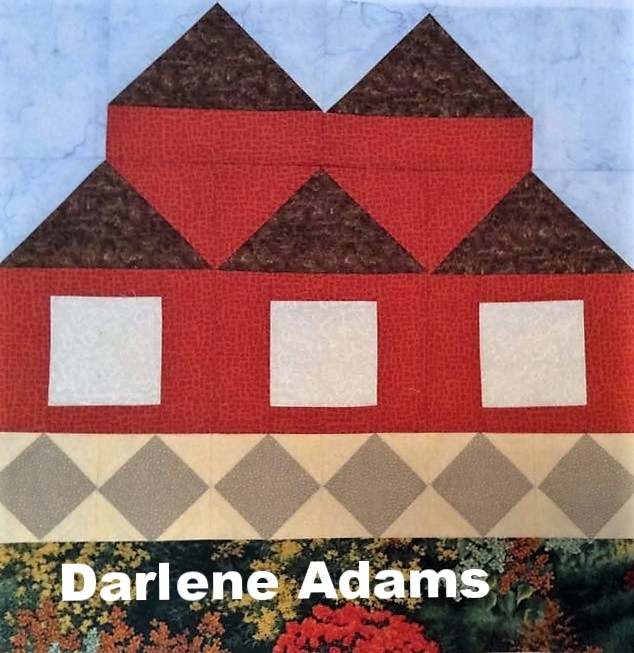 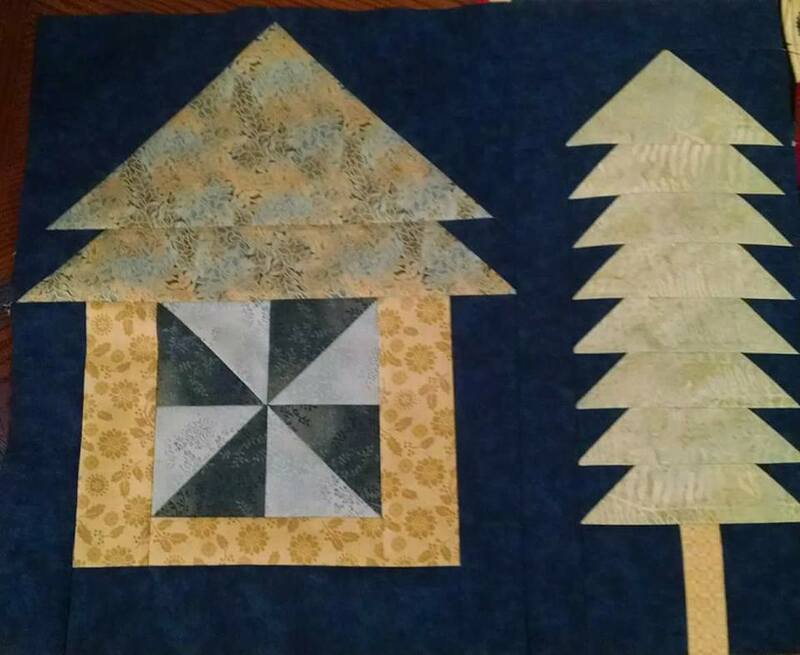 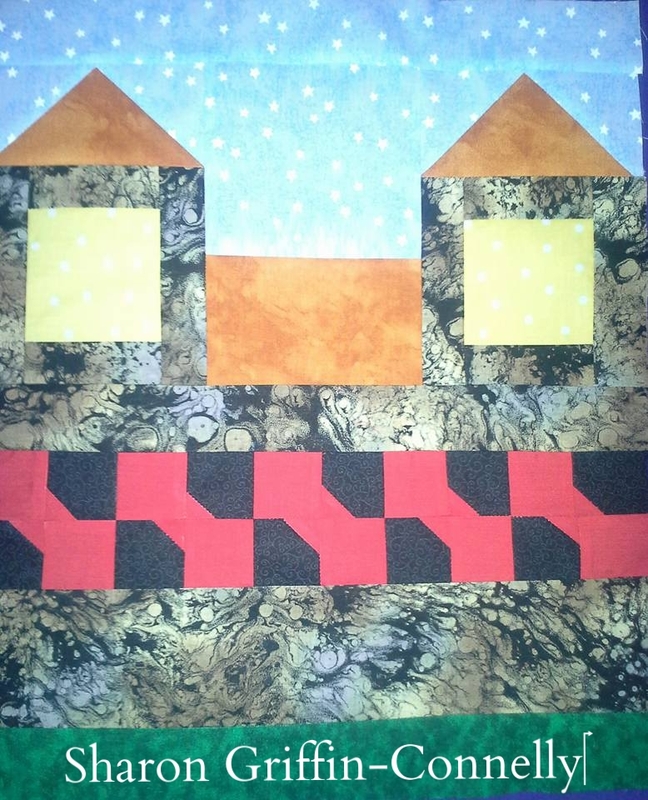 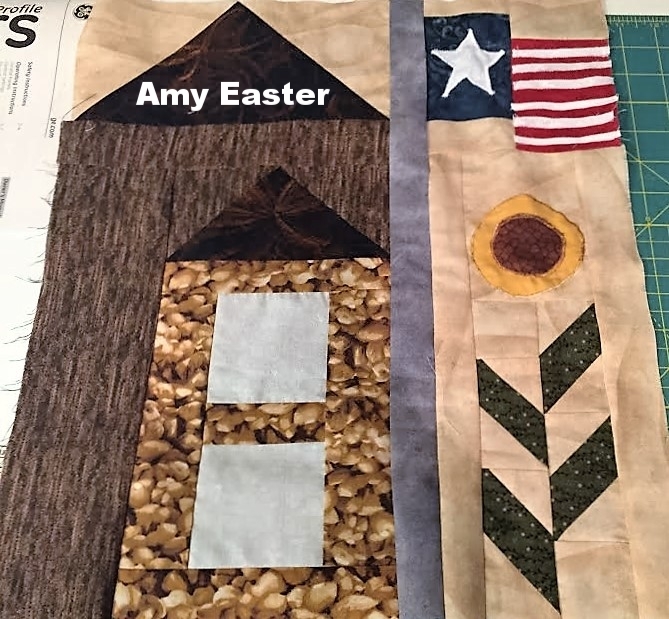 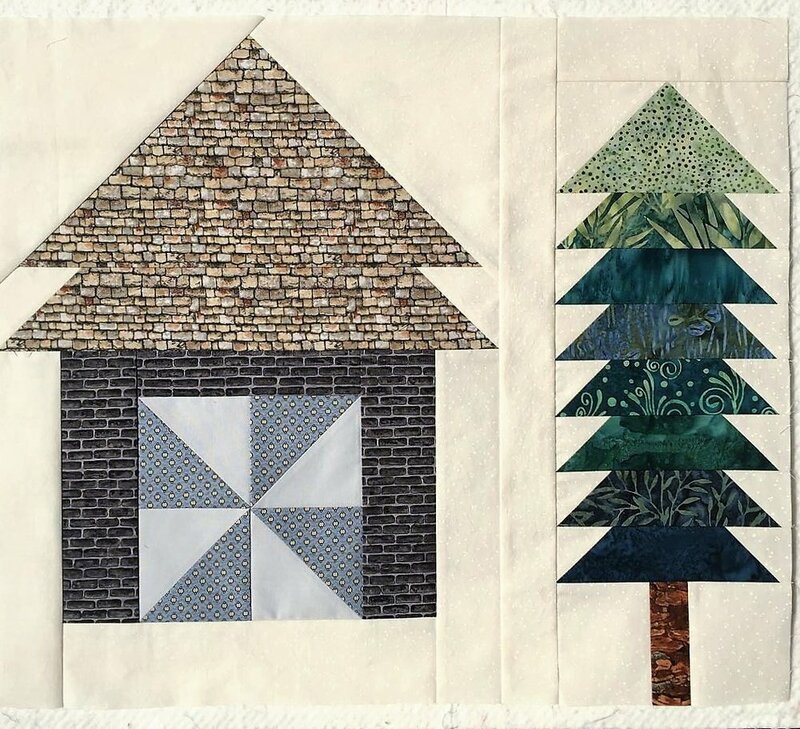 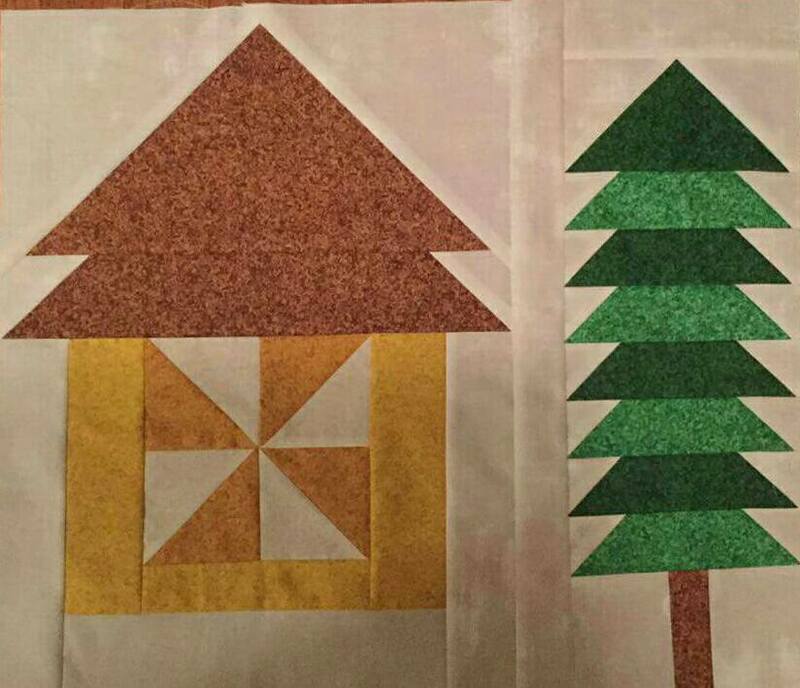 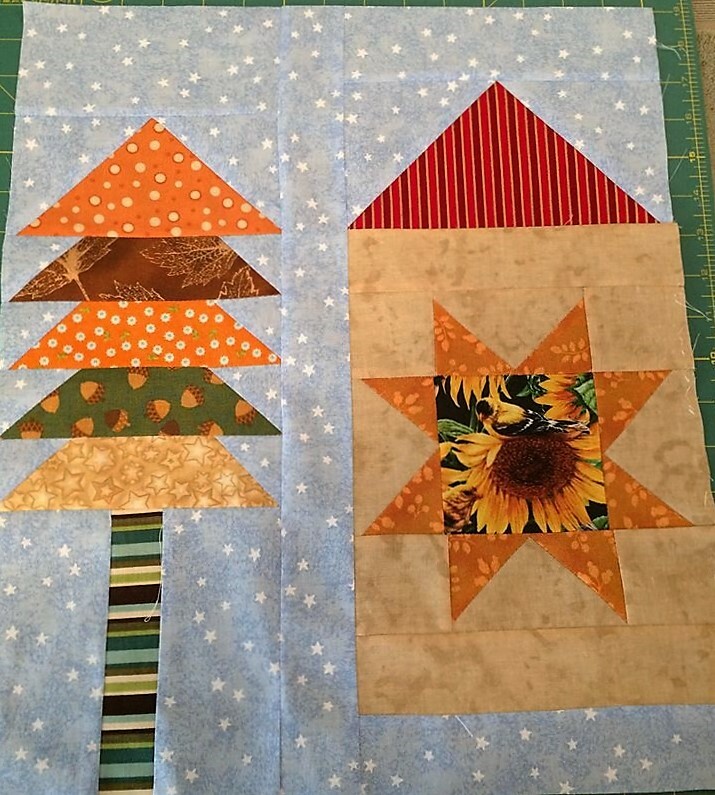 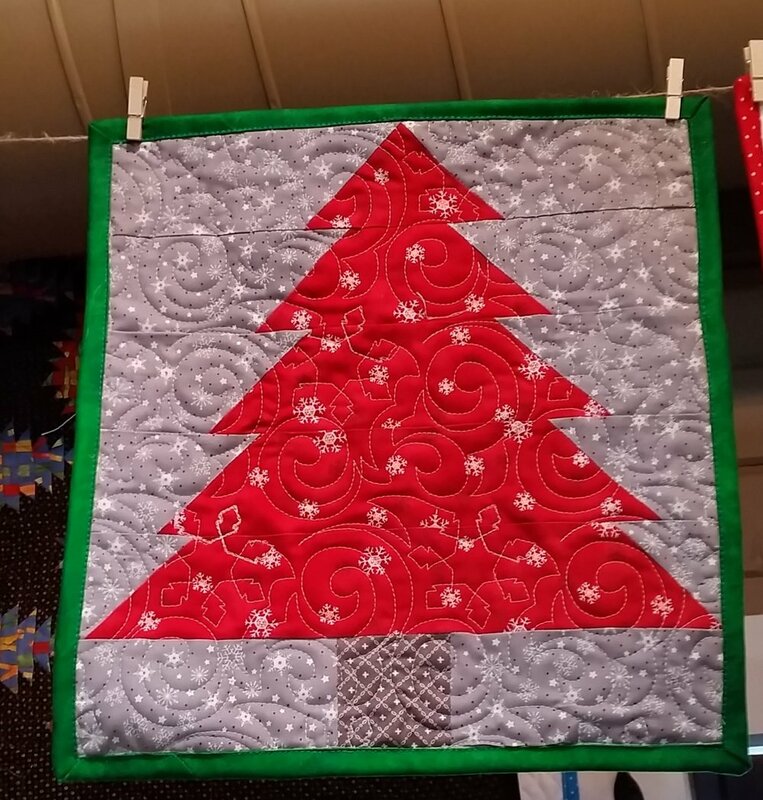 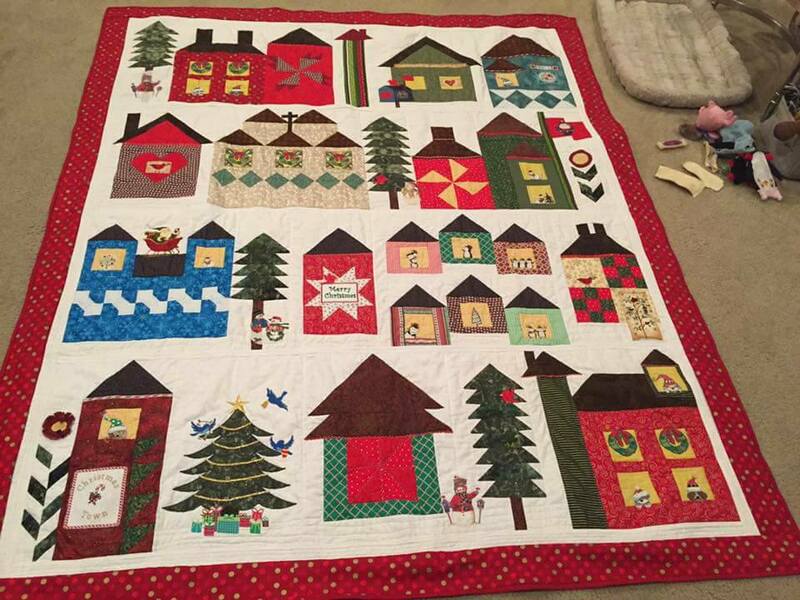 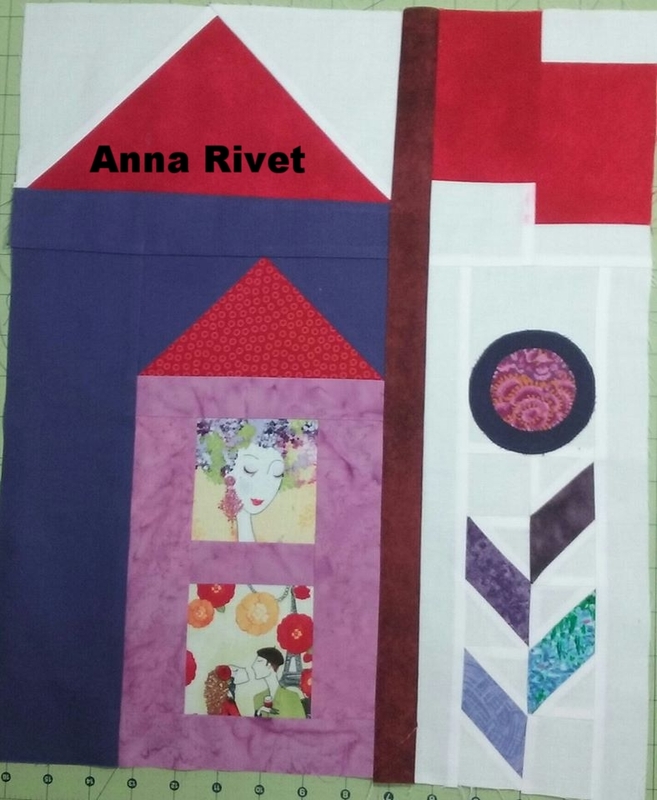 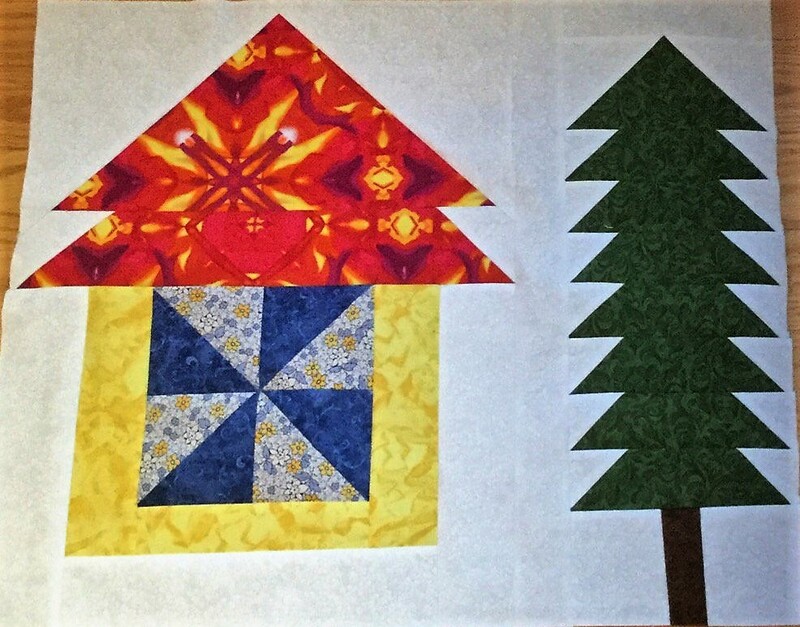 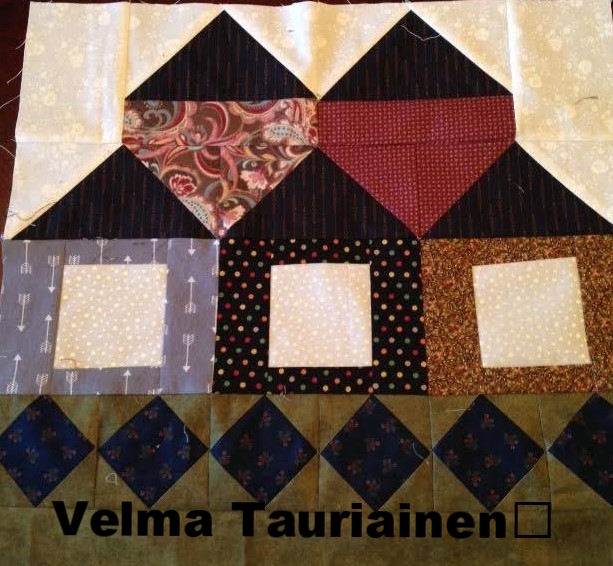 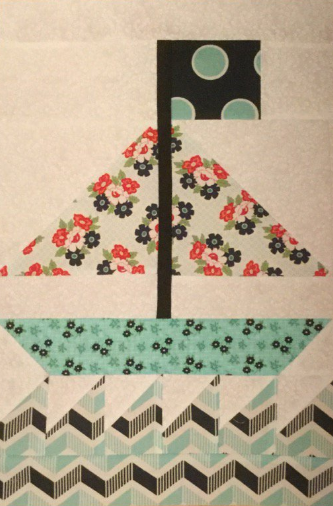 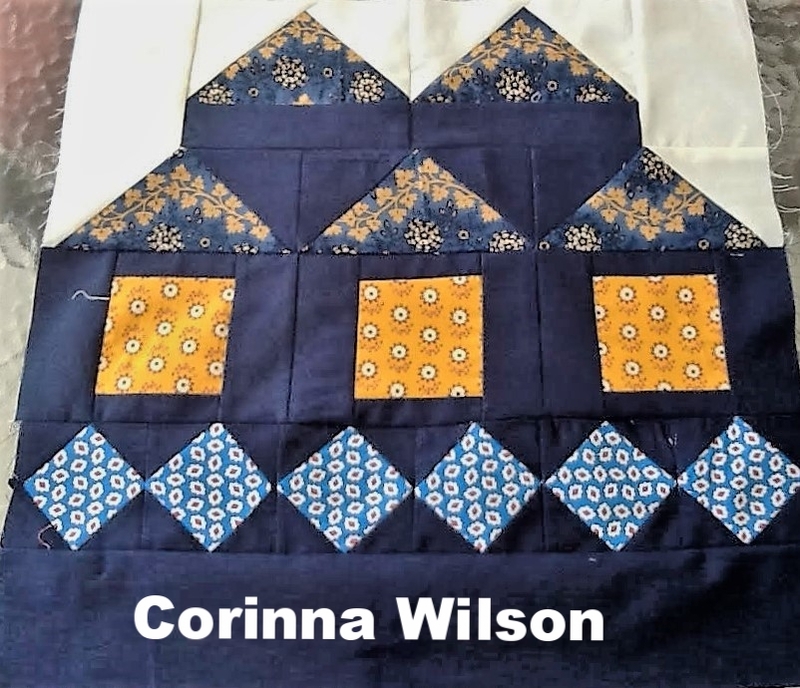 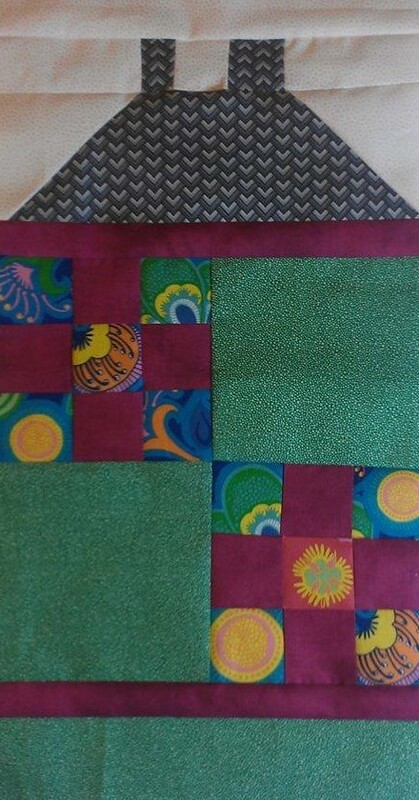 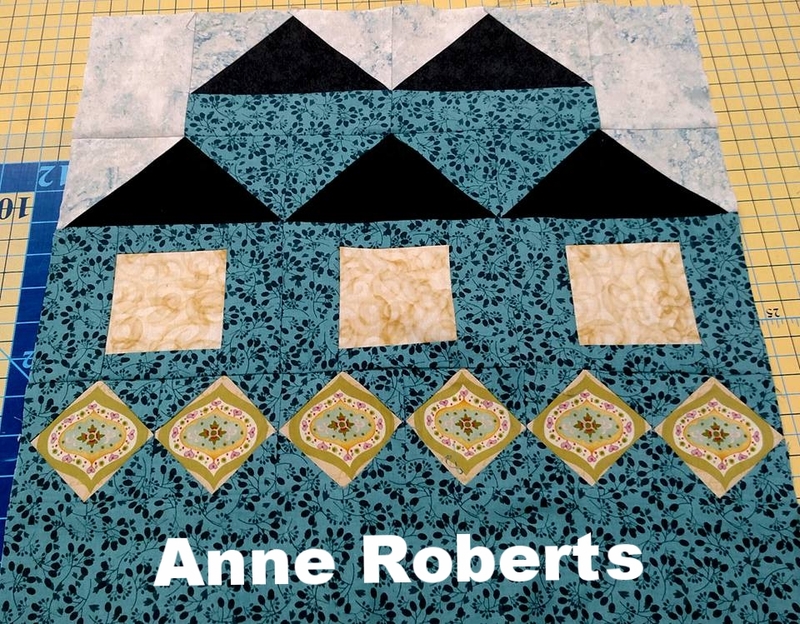 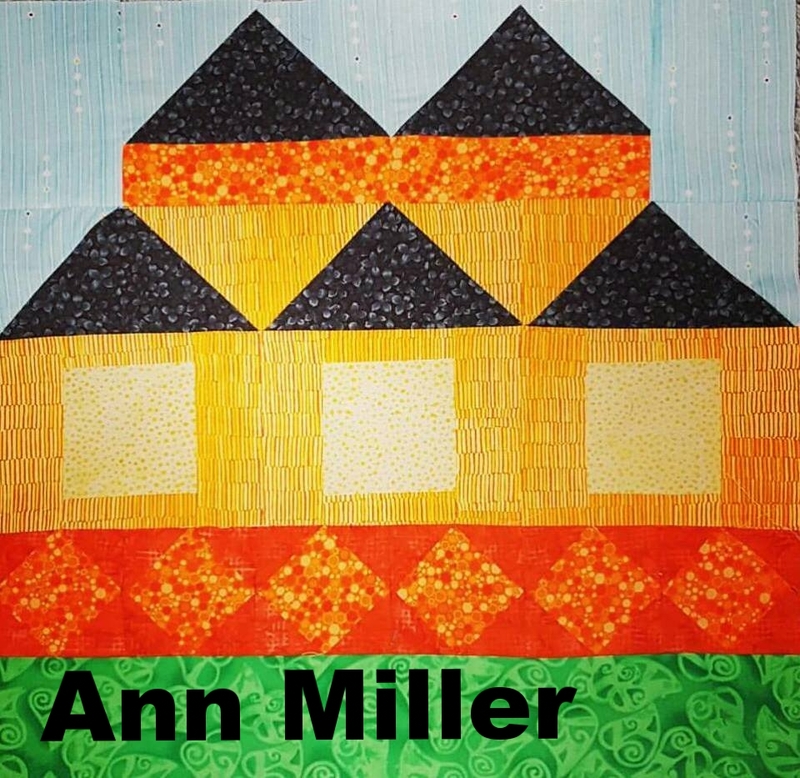 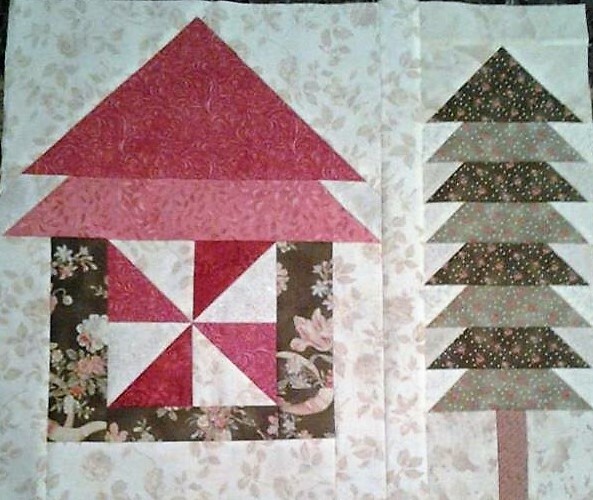 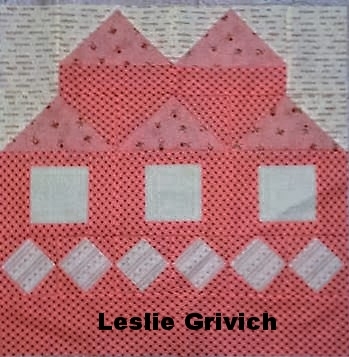 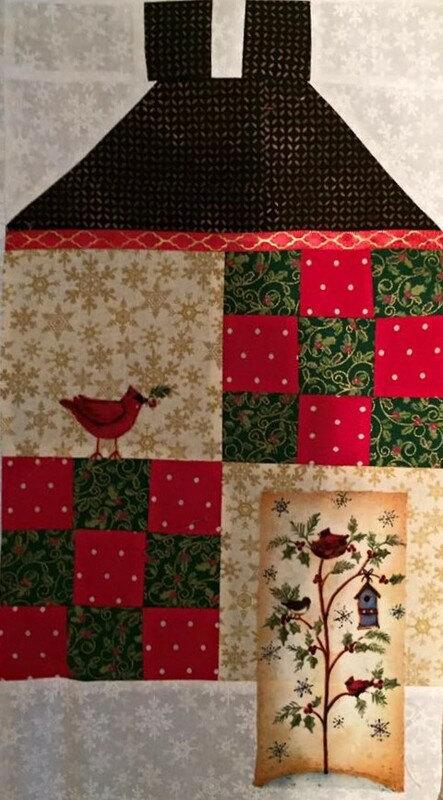 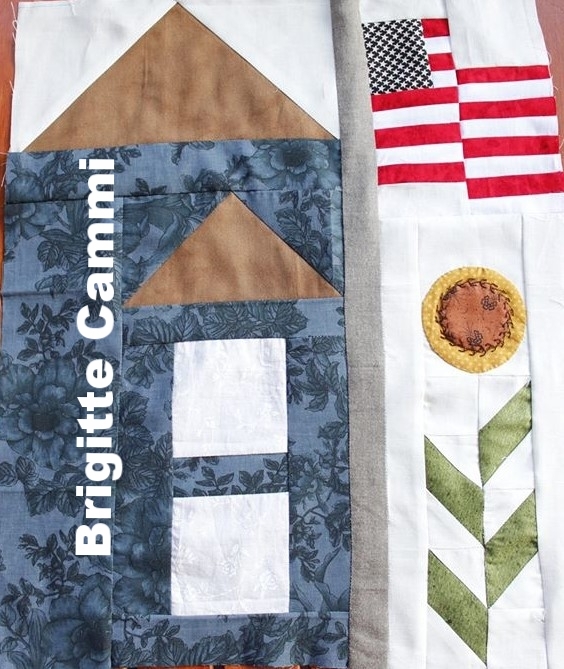 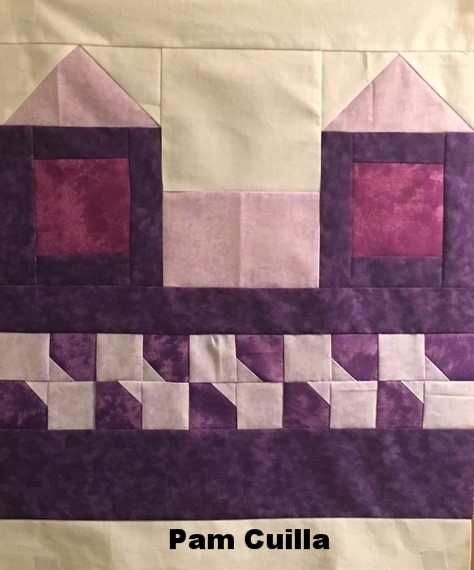 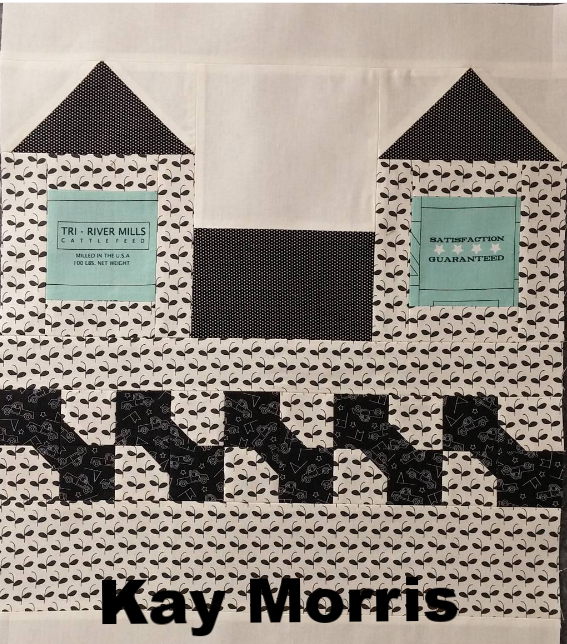 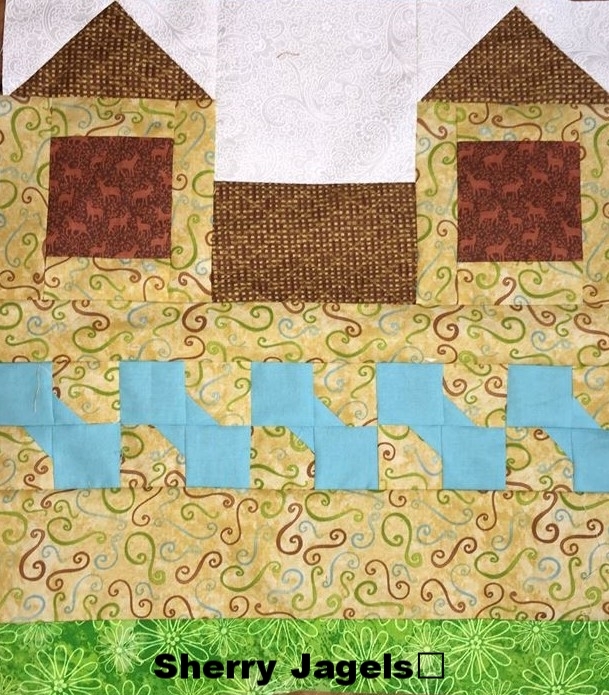 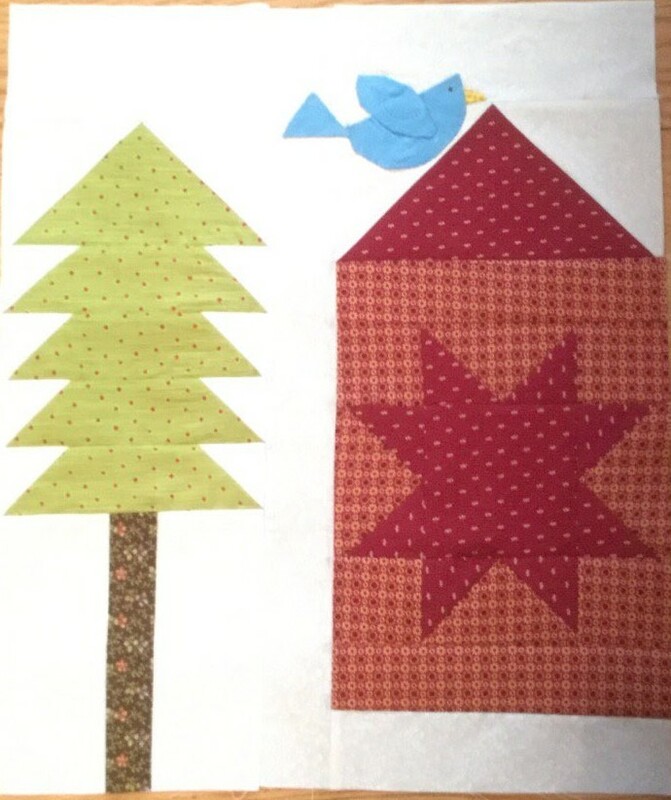 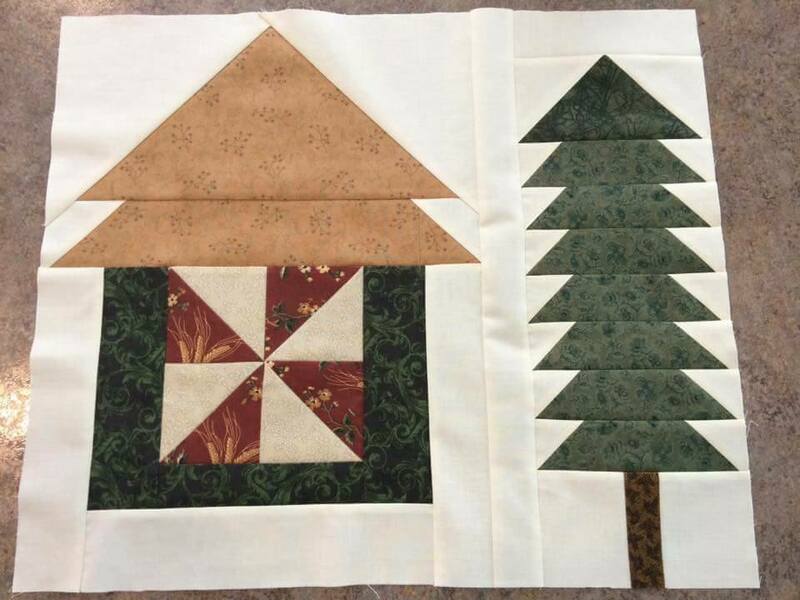 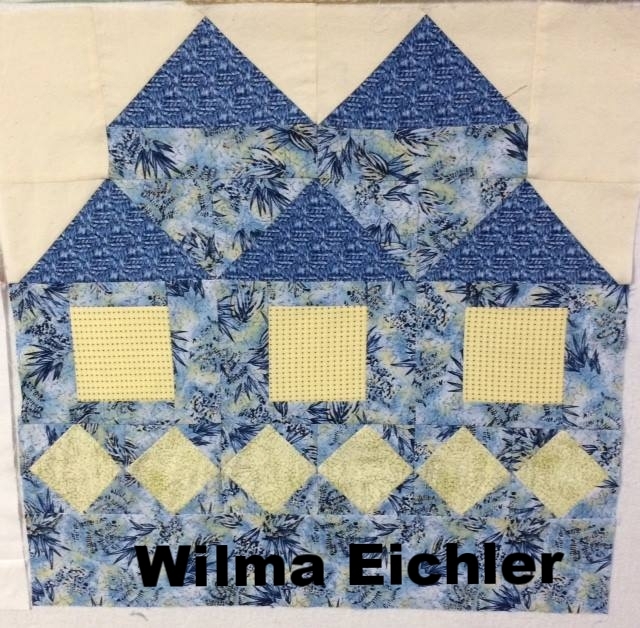 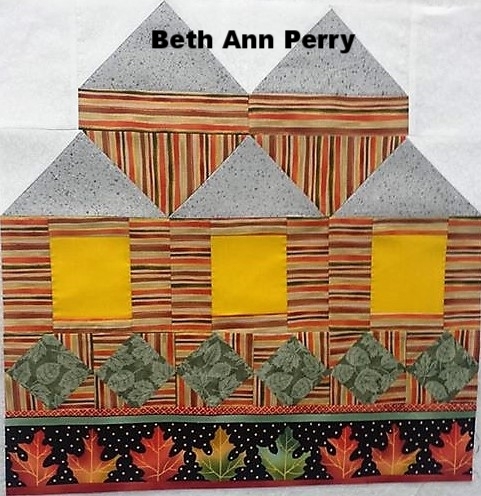 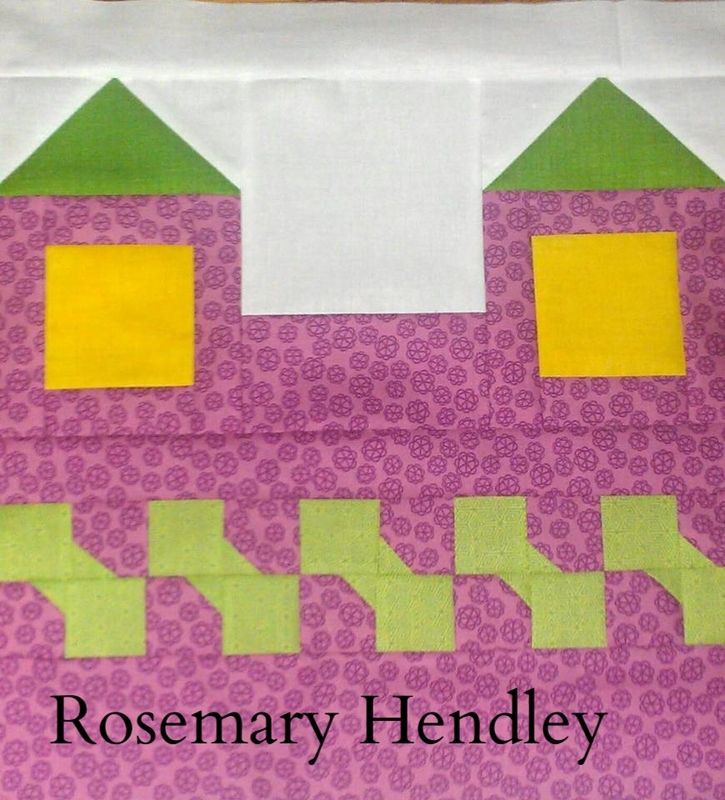 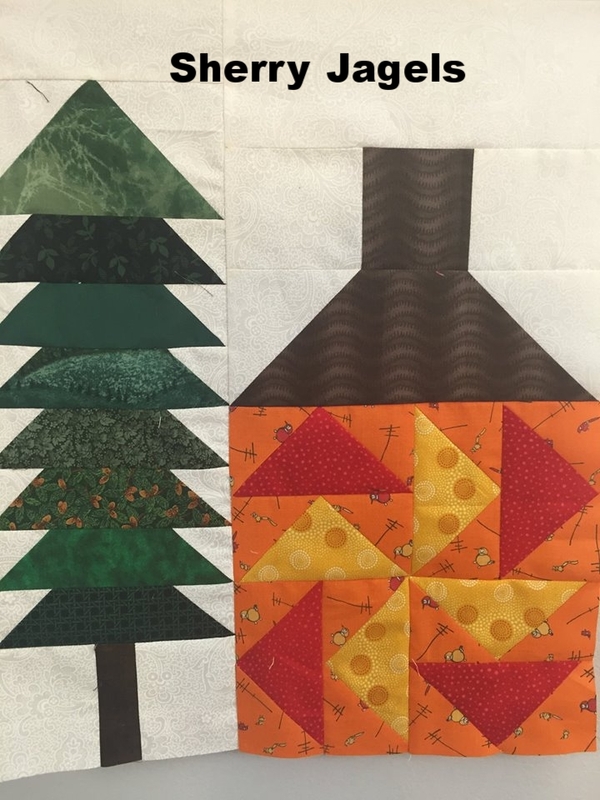 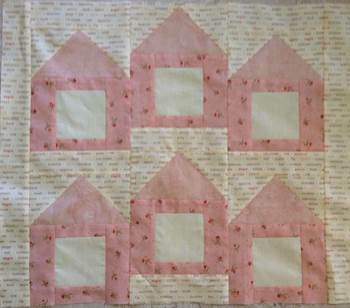 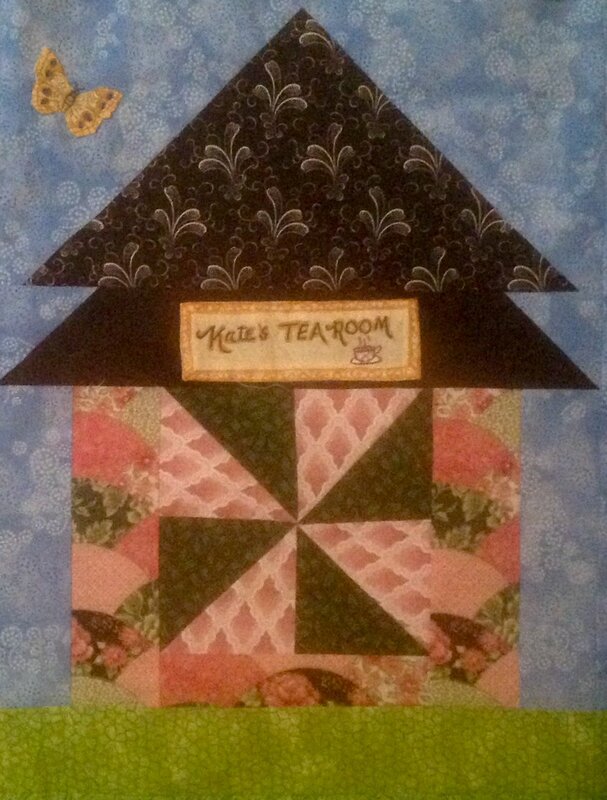 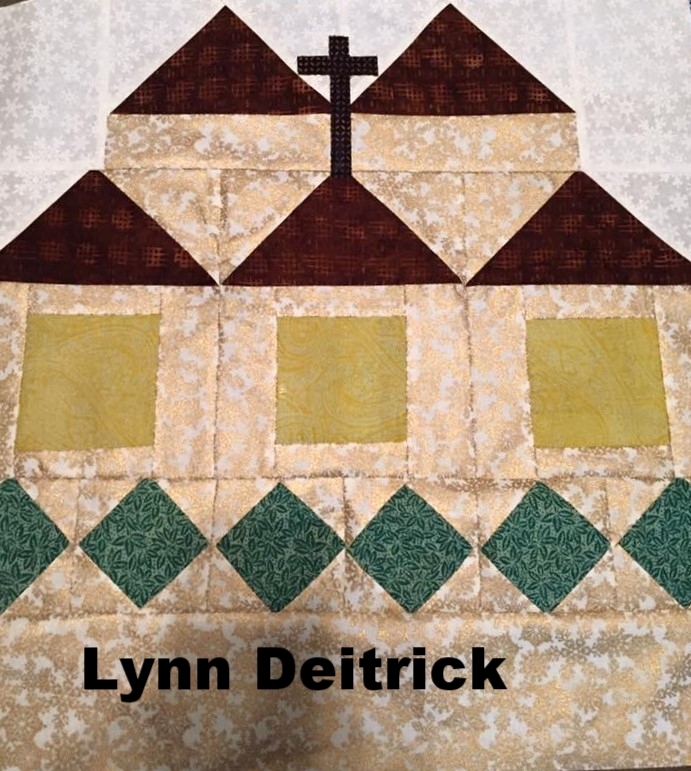 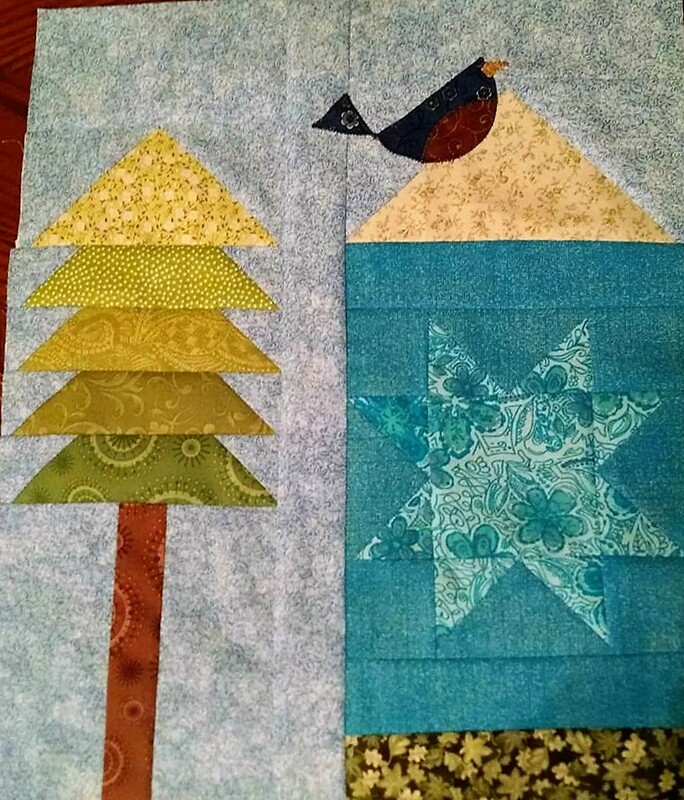 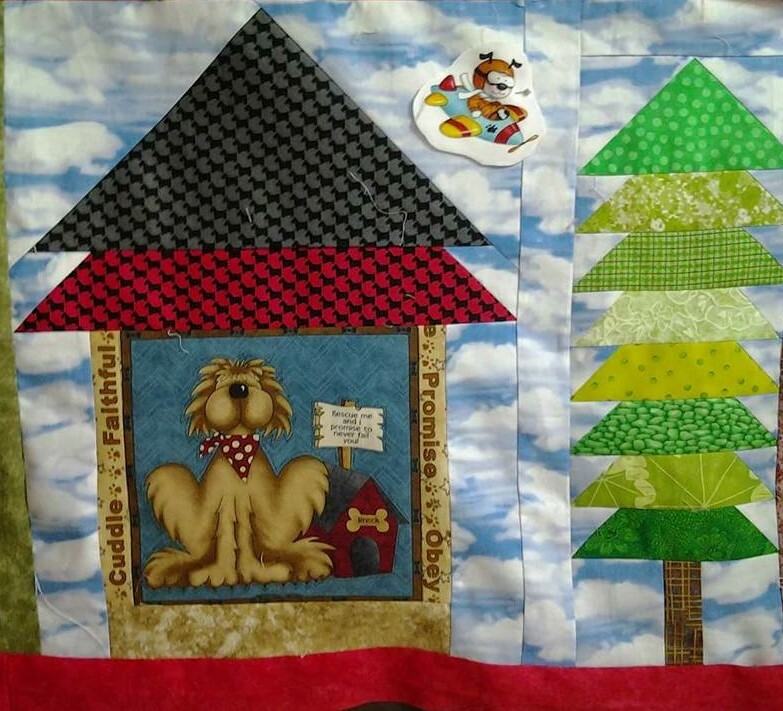 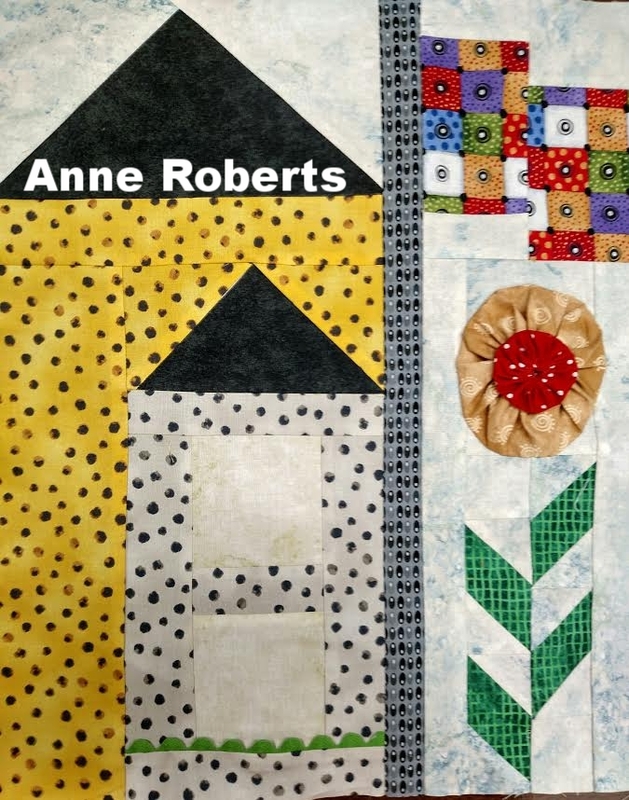 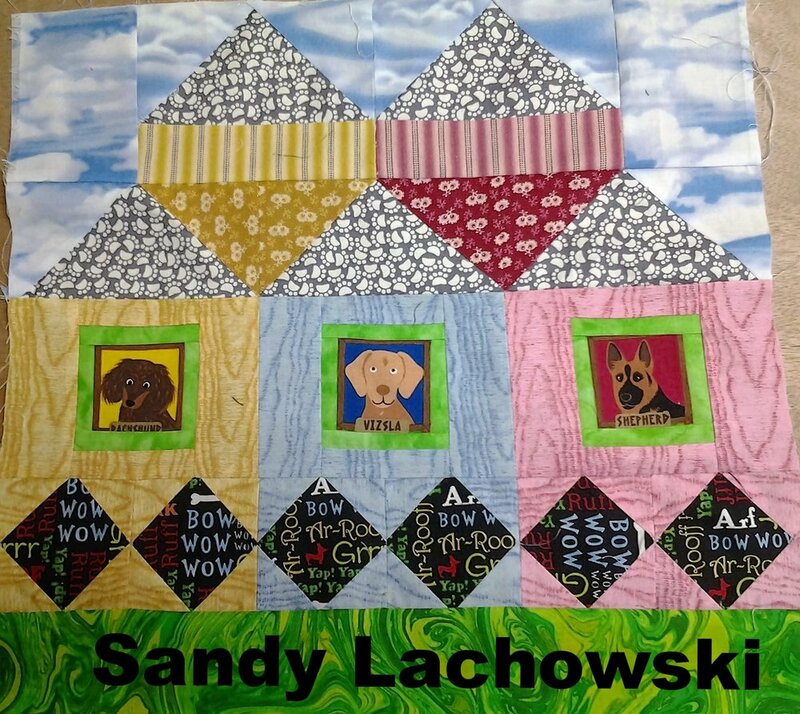 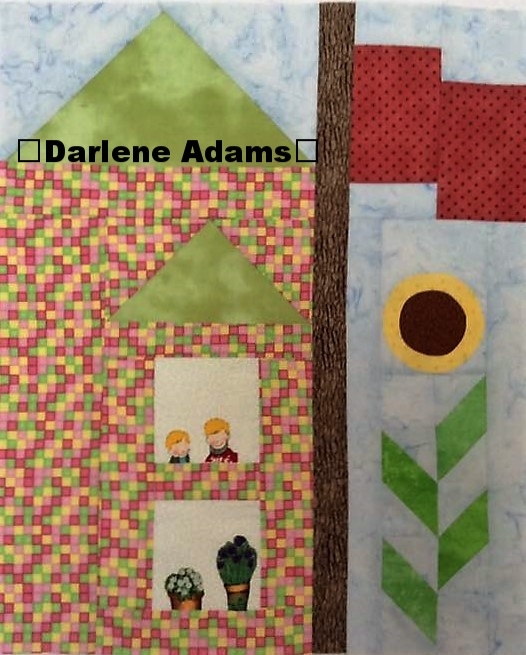 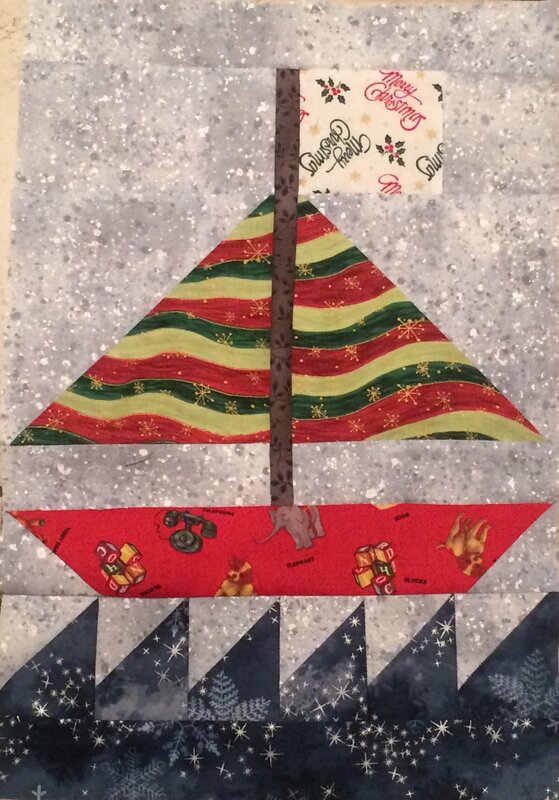 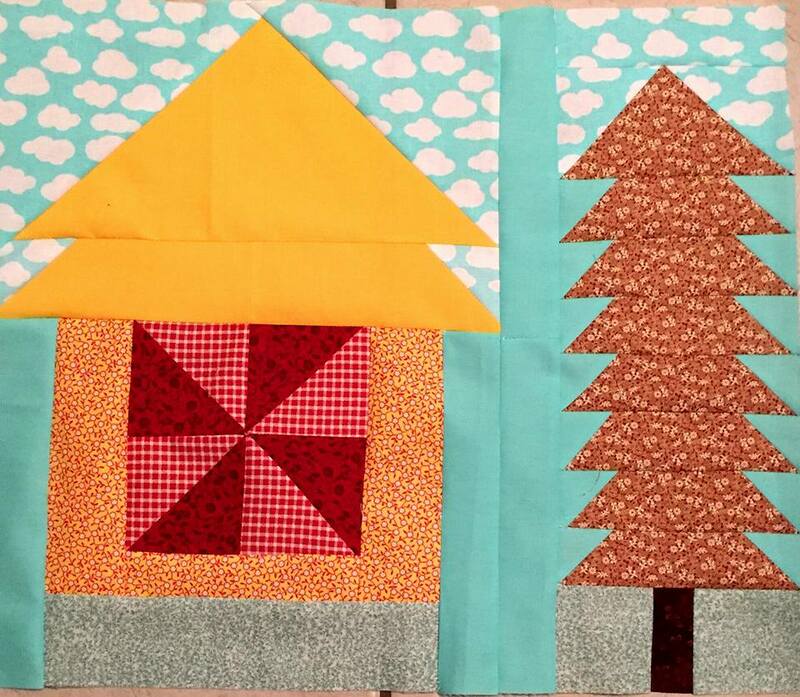 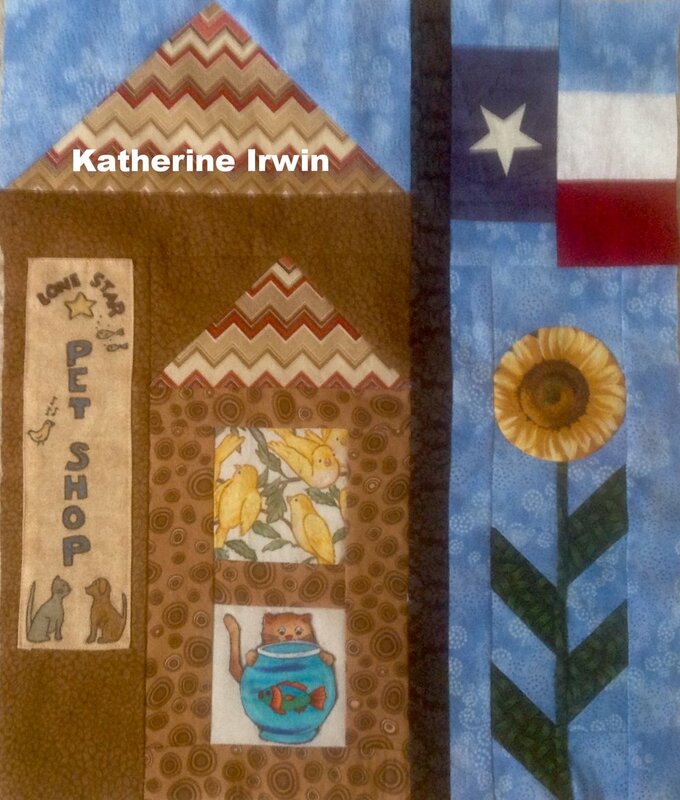 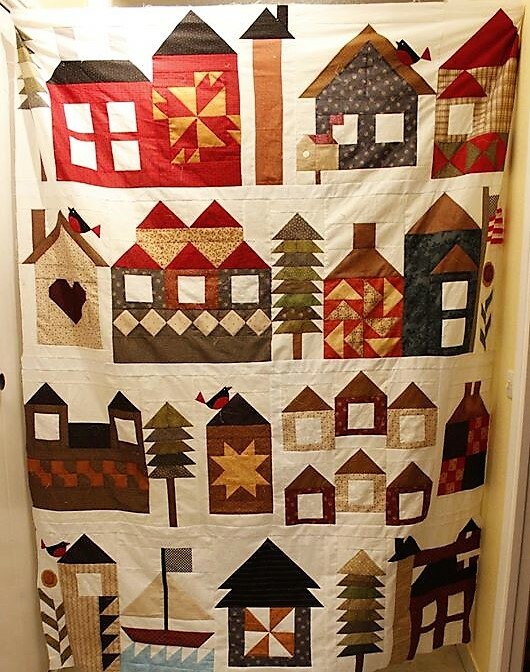 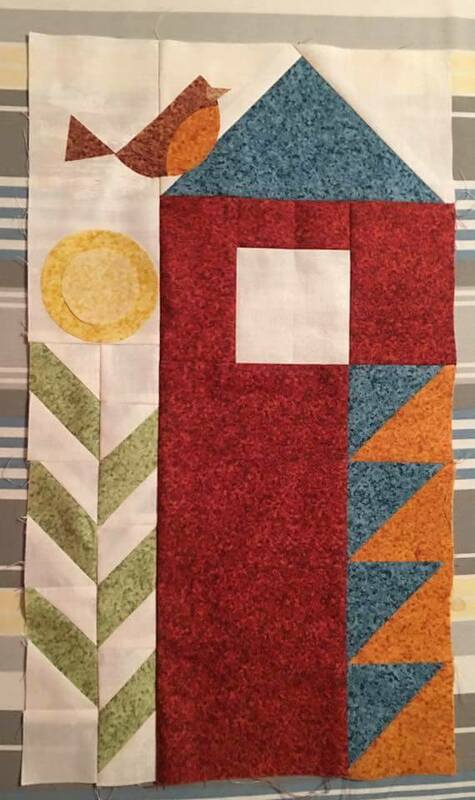 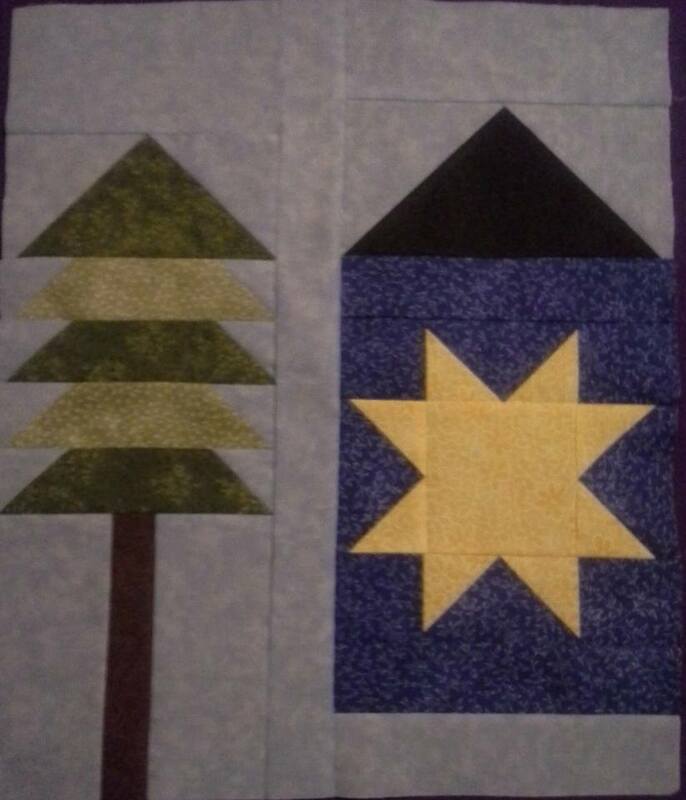 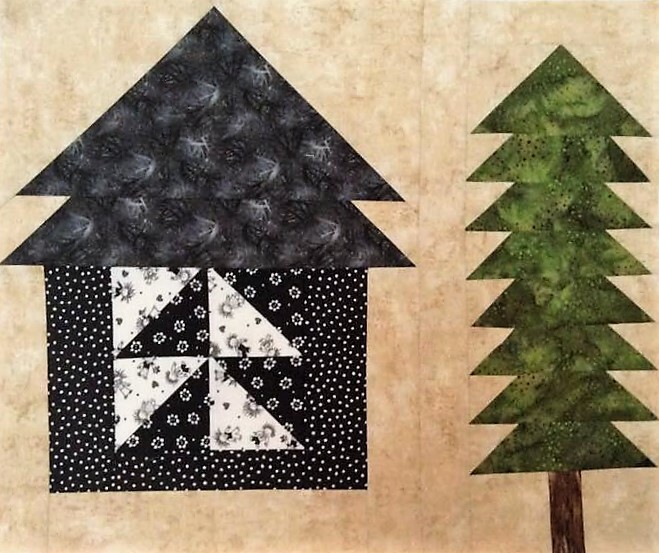 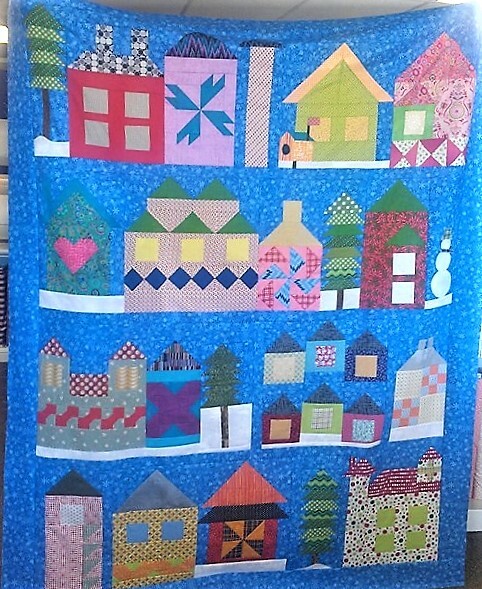 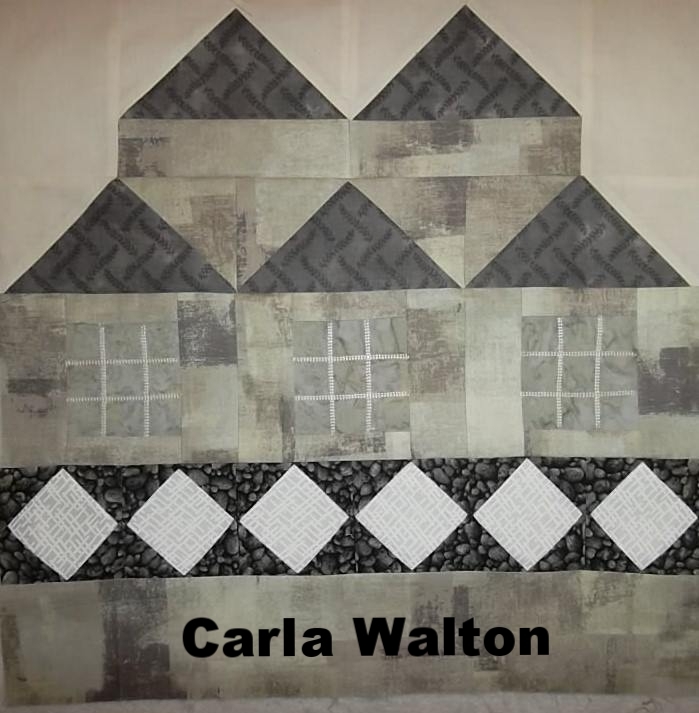 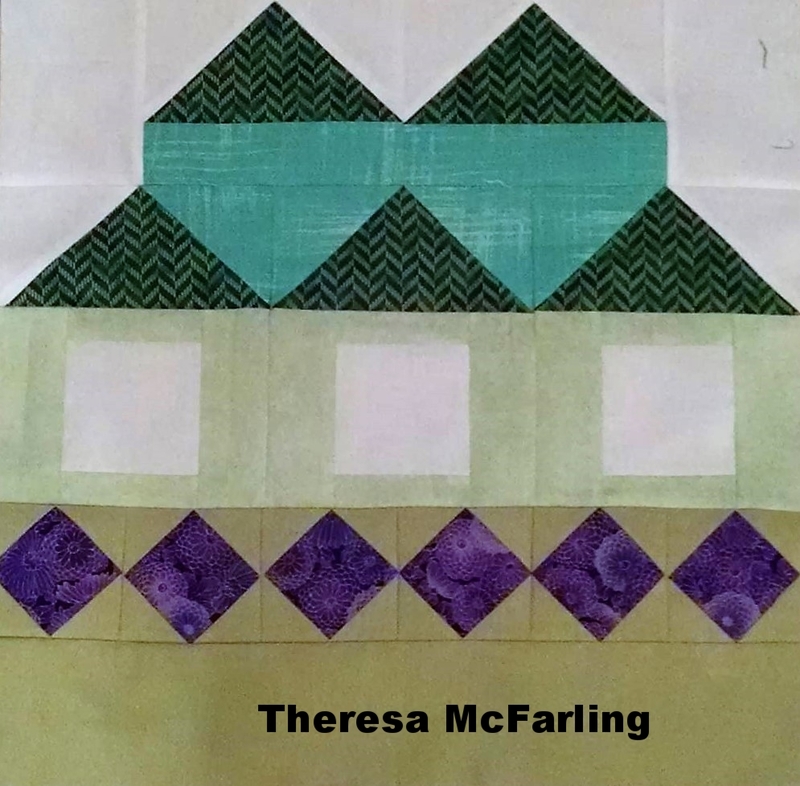 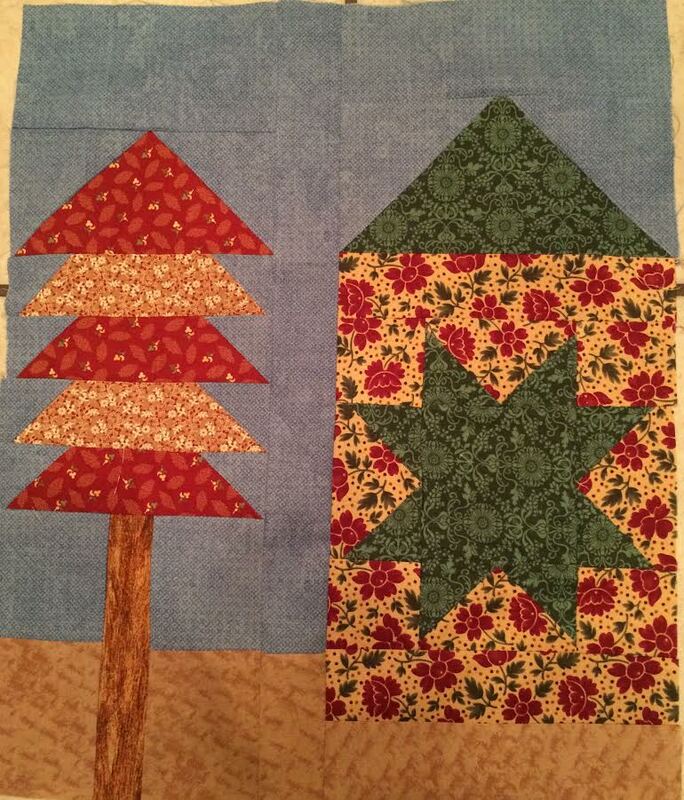 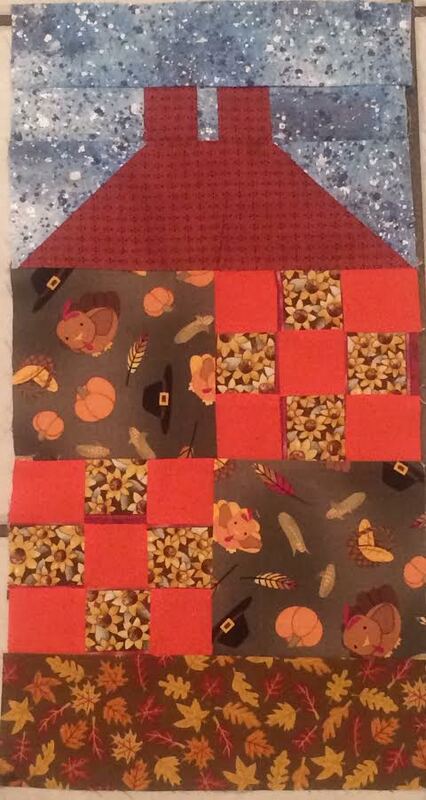 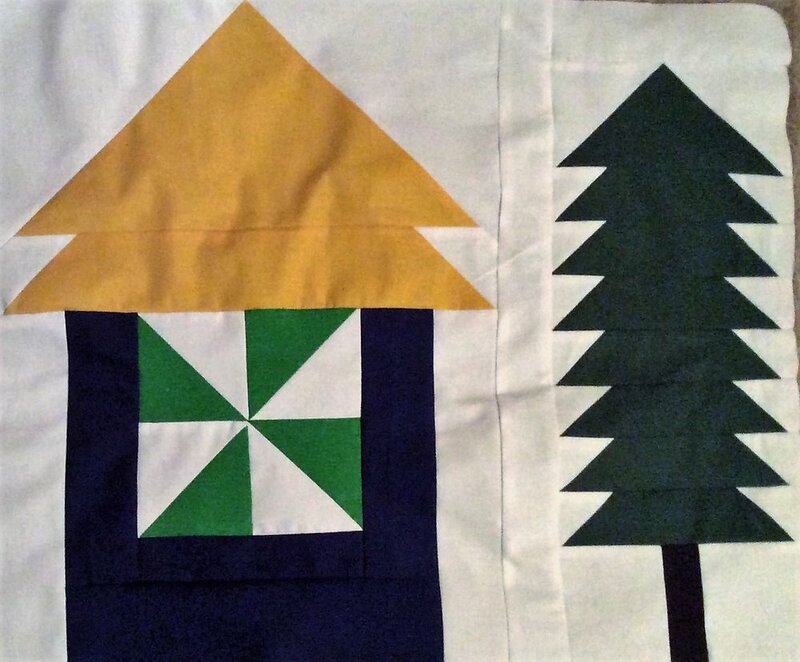 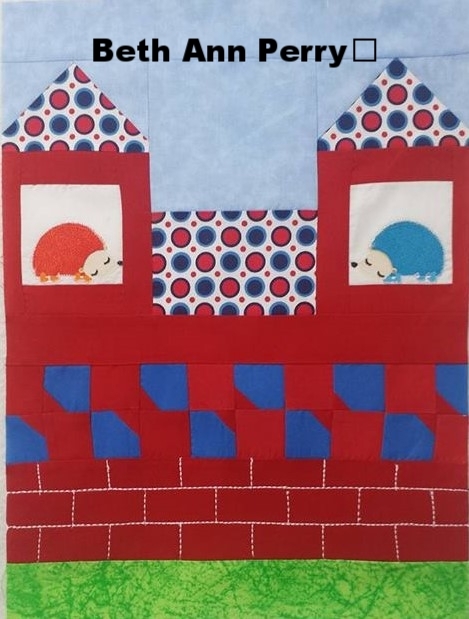 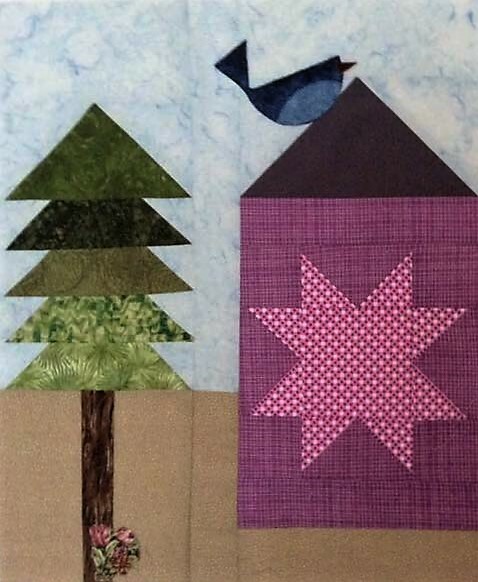 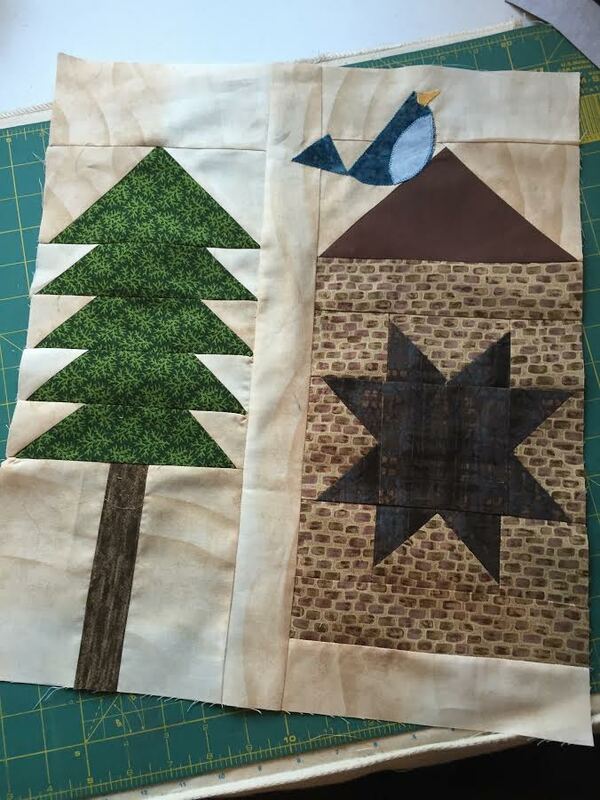 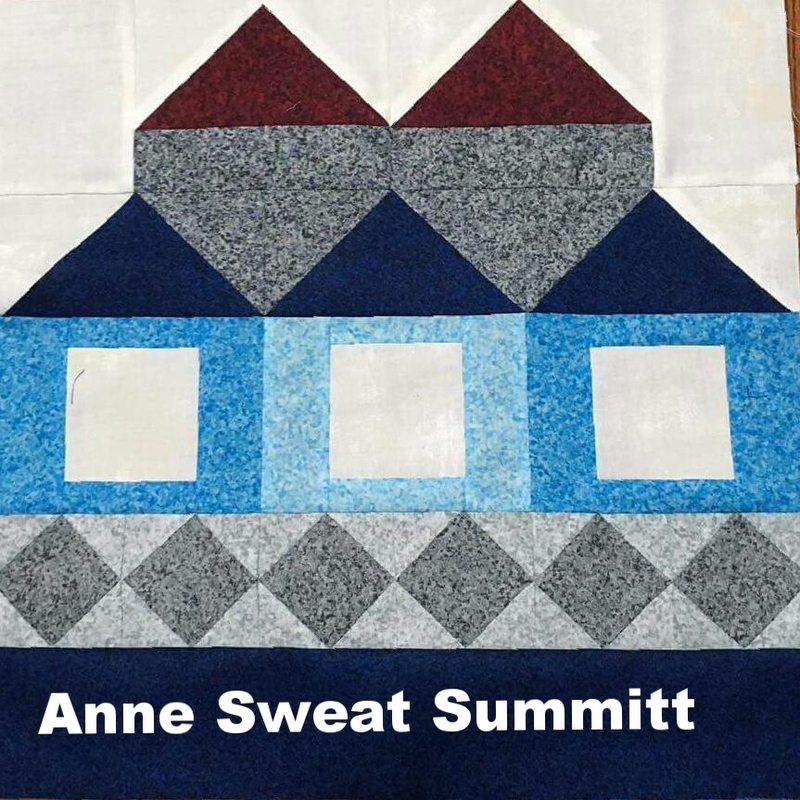 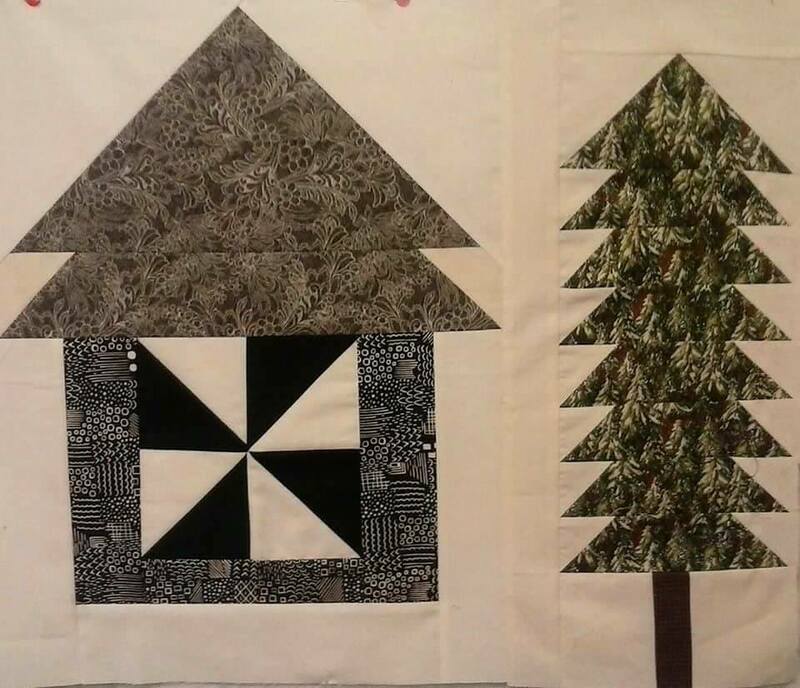 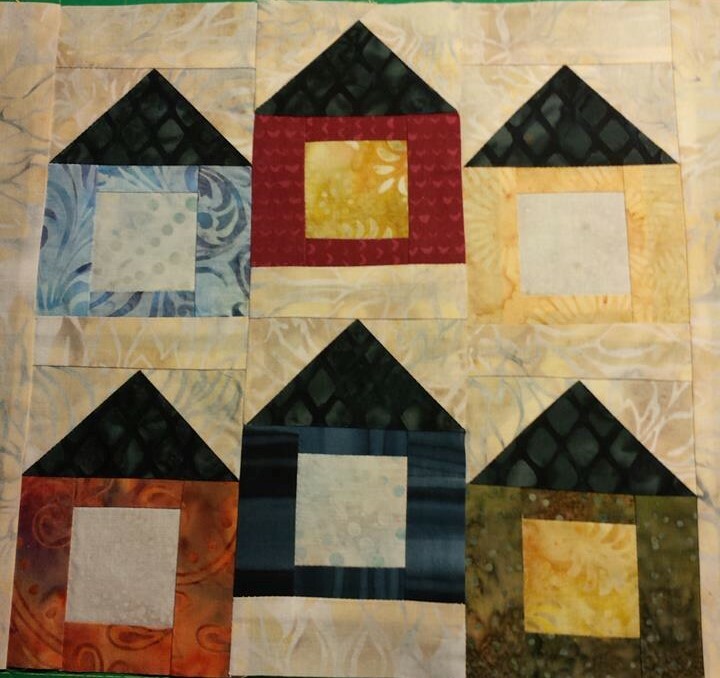 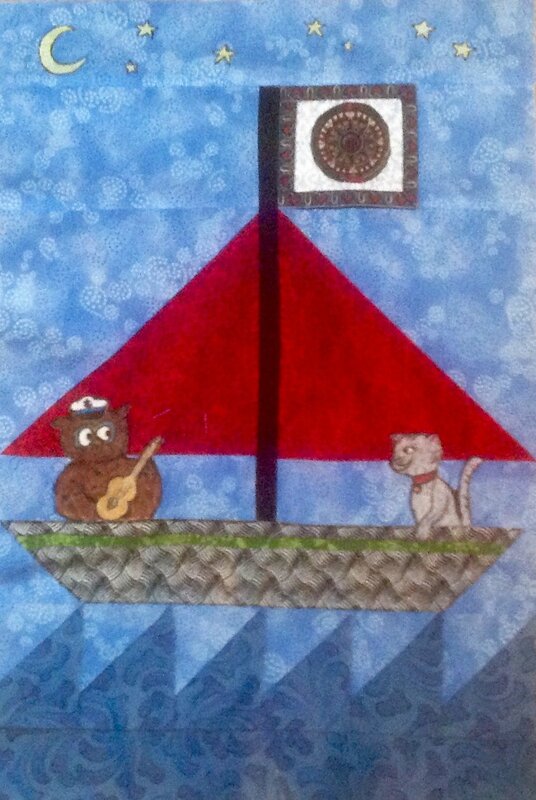 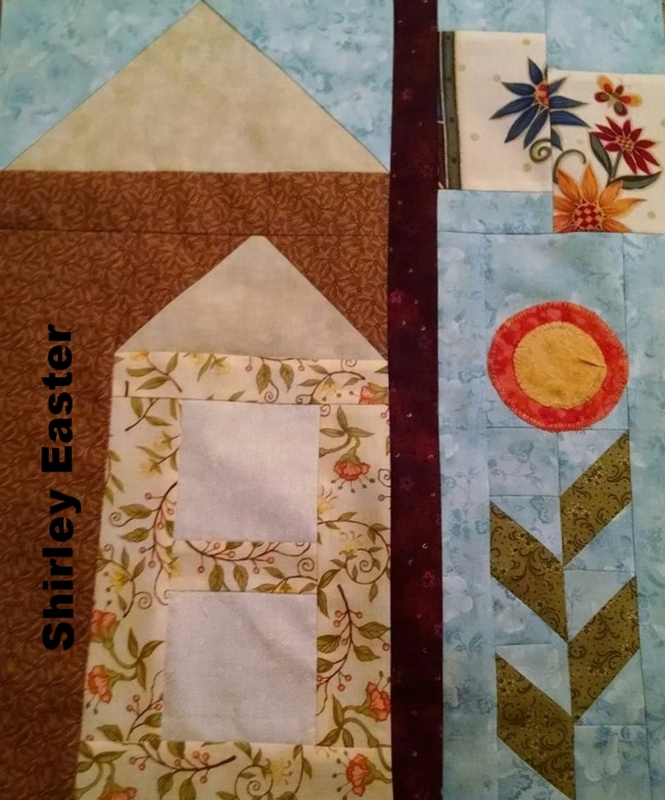 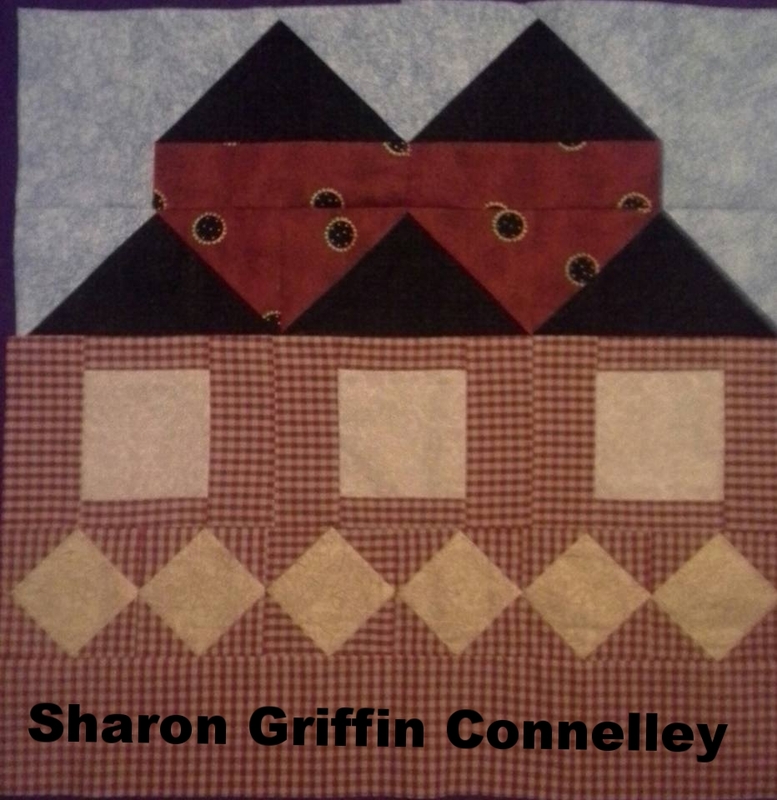 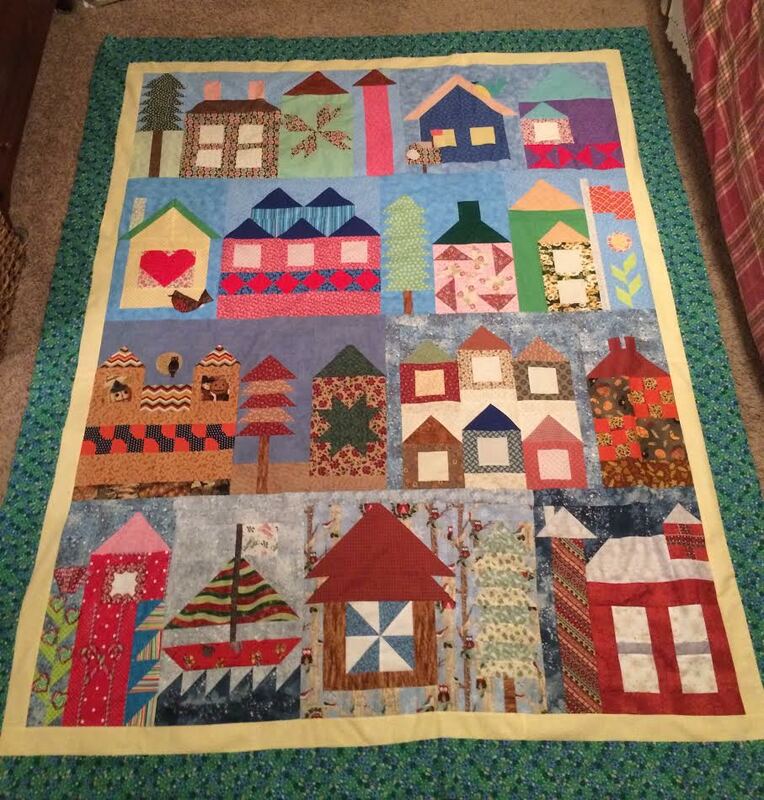 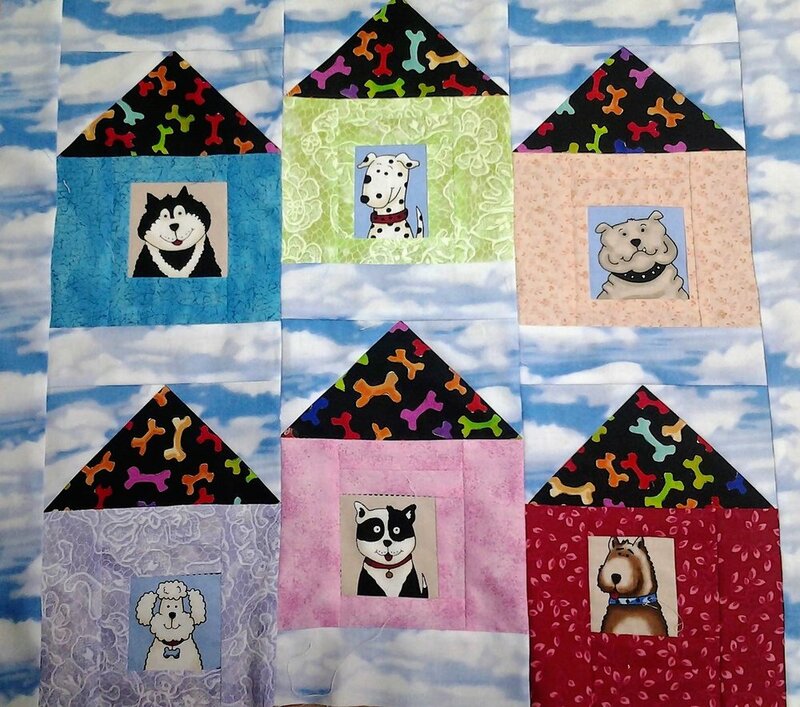 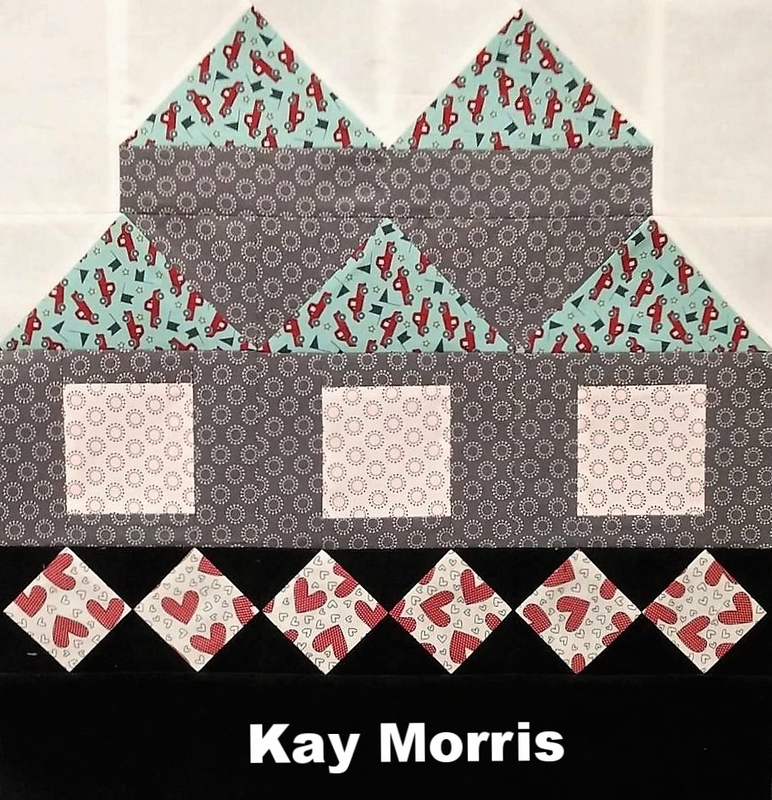 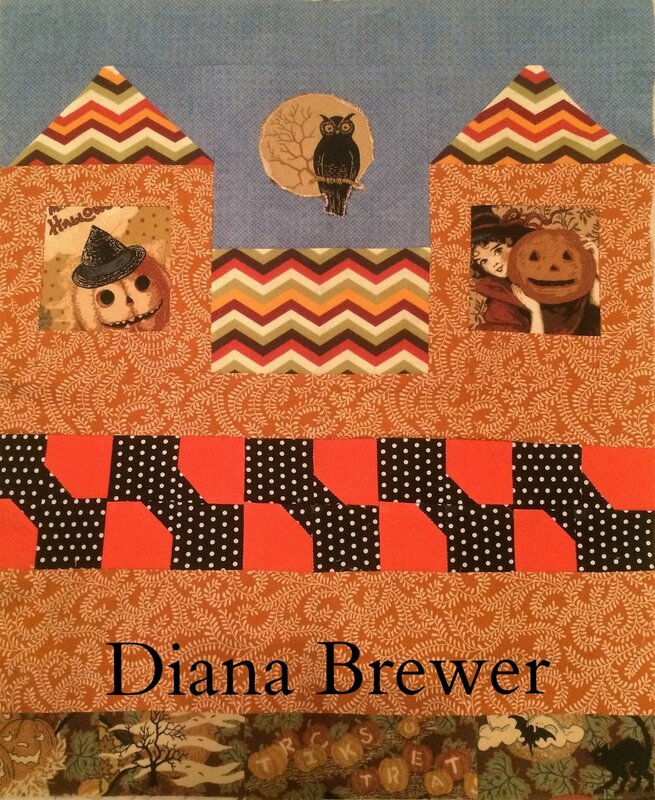 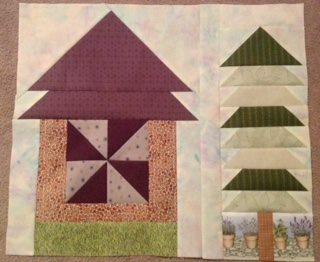 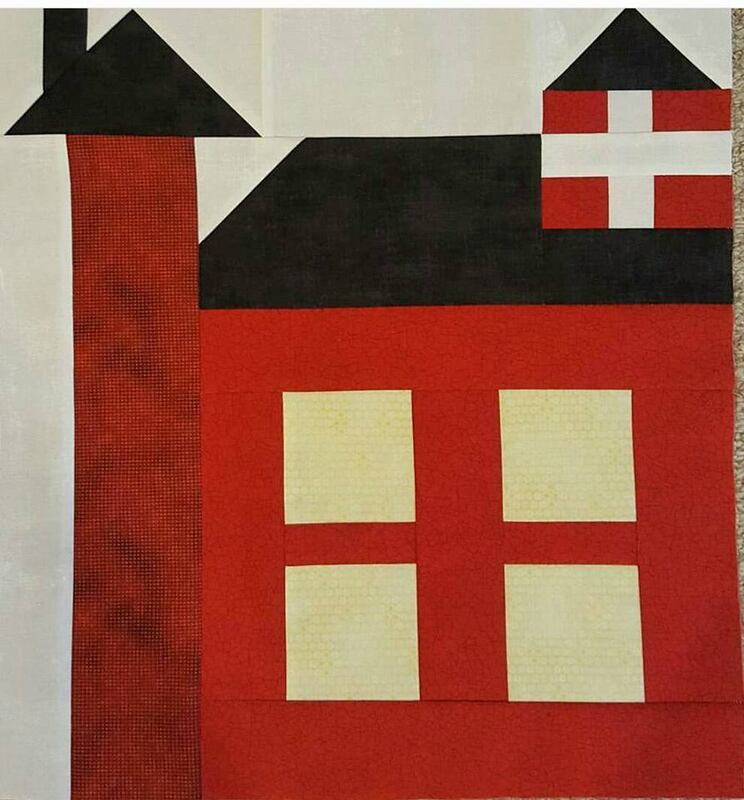 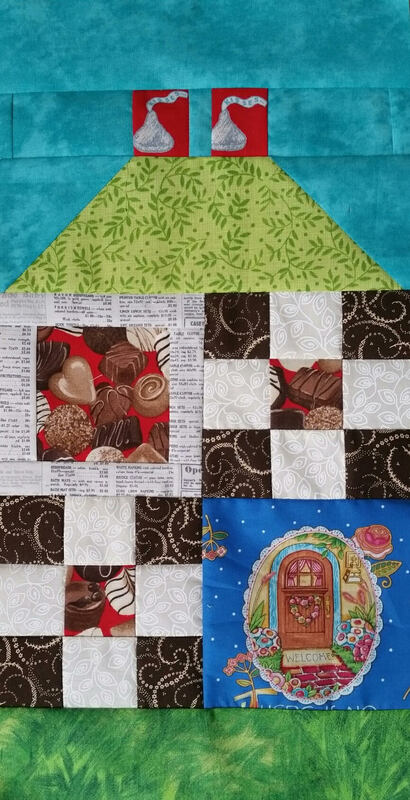 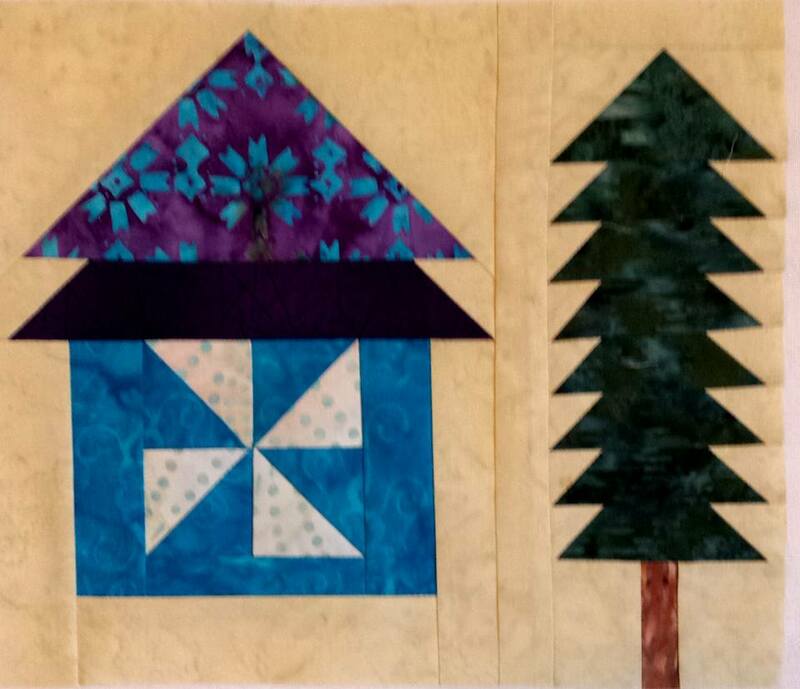 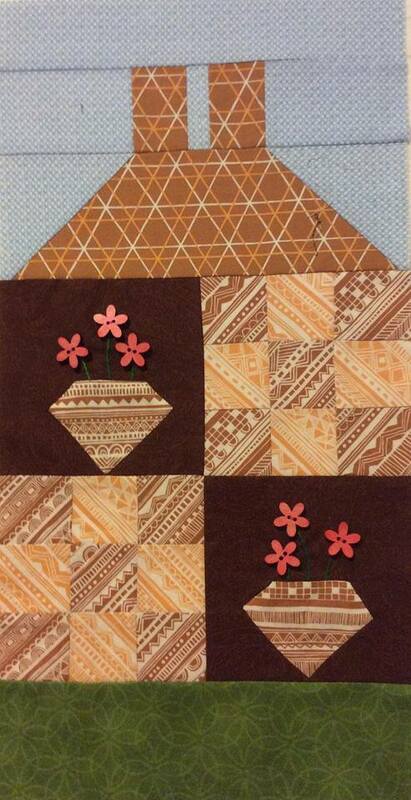 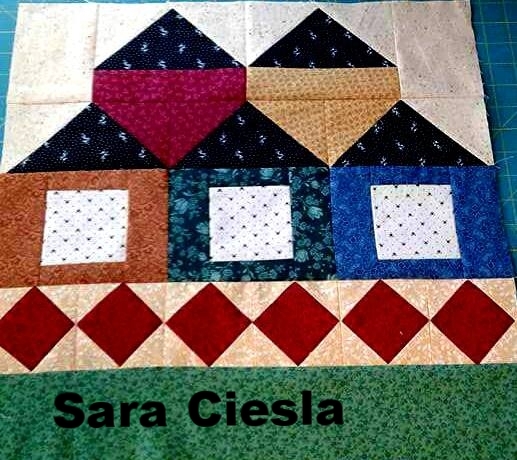 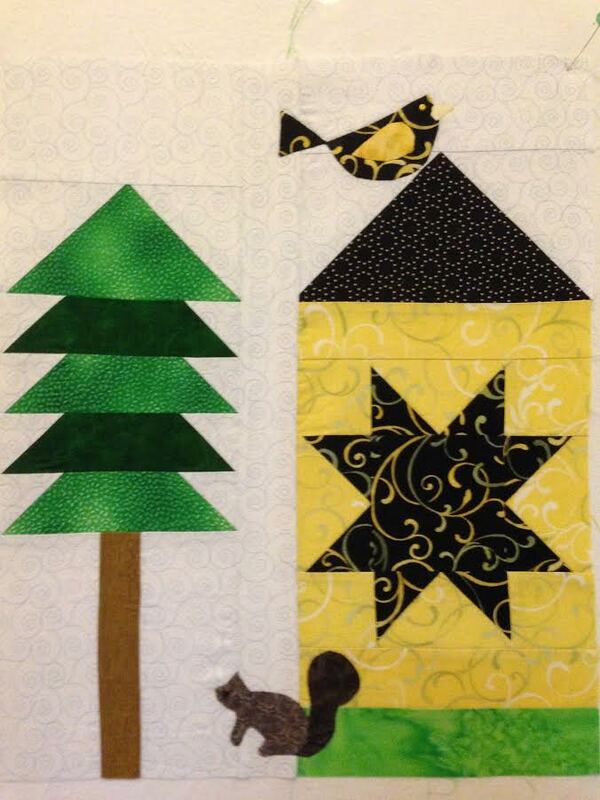 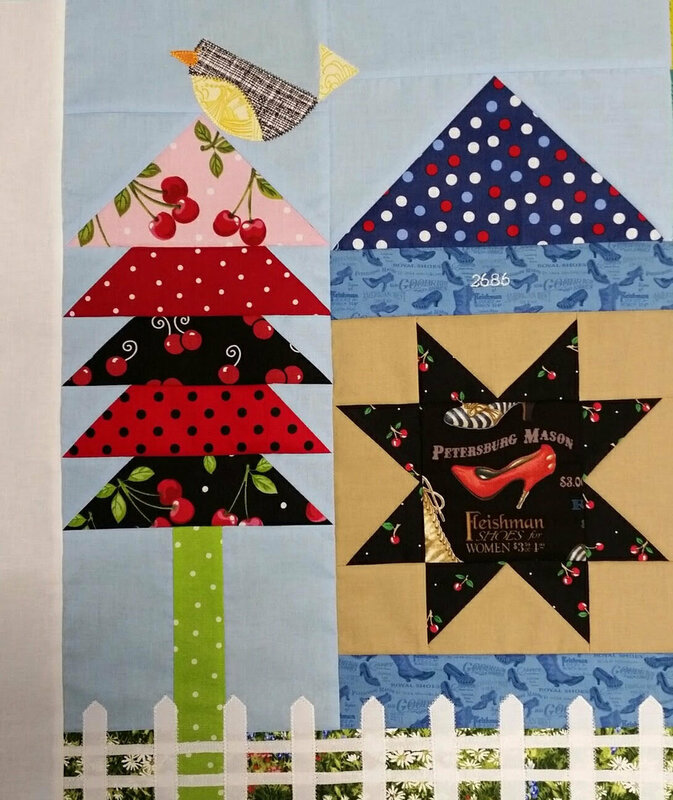 THERE'S A PICTURE OF THE COMPLETE QUILT & SETTING PATTERN AT THE END OF THIS BLOG POST. 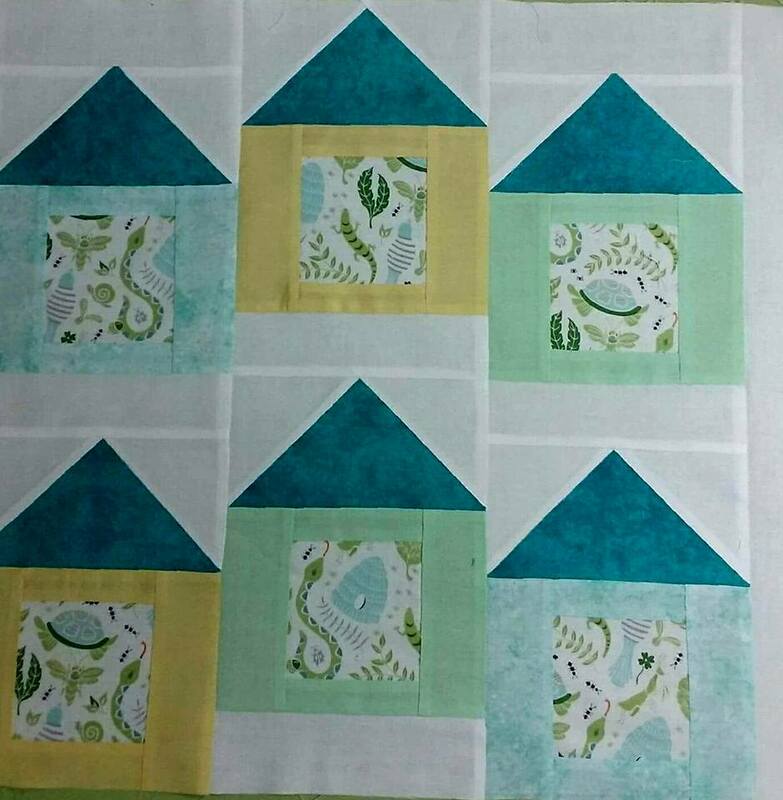 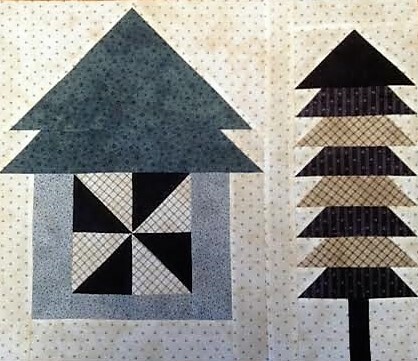 IF YOU DIDN'T GET THE FREE PATTERN DOWNLOAD FOR BLOCKS ONE THROUGH FIVE, CLICK HERE to get to BLOG post where your free patterns for blocks 1 thru 5 are AVAILABLE to download. 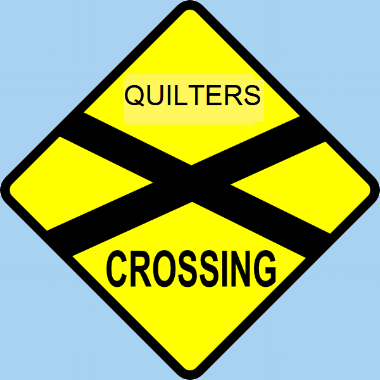 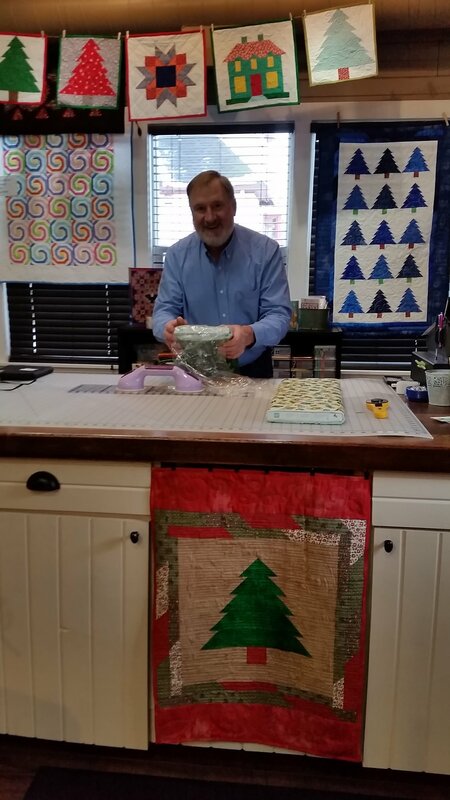 Are you quilting along with us? 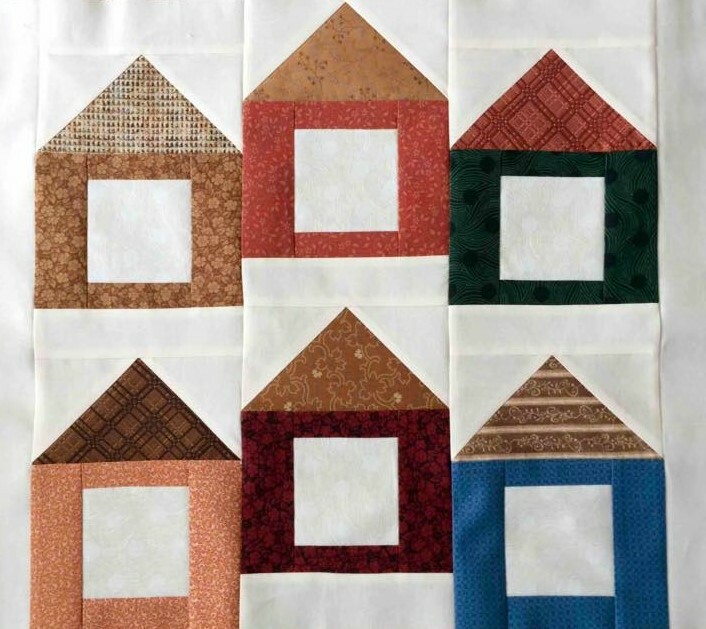 If you're building your neighborhood we want to see your blocks too. 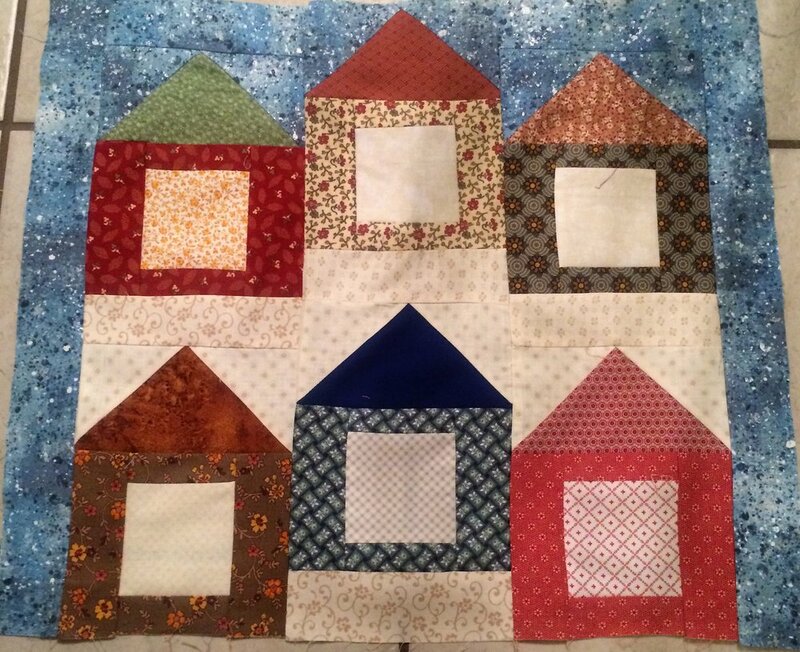 If you'll share a photo of your block with us each week you could win a prize. 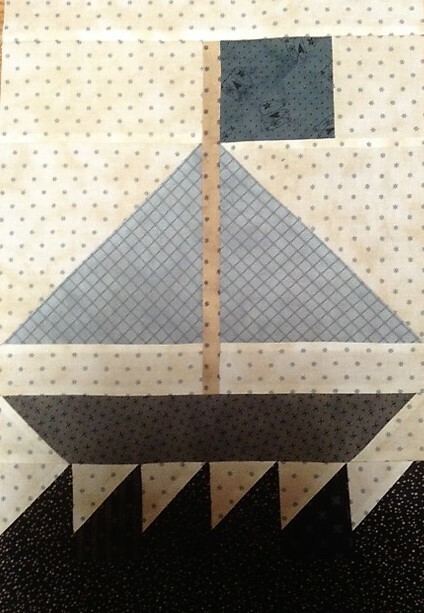 Read how below. 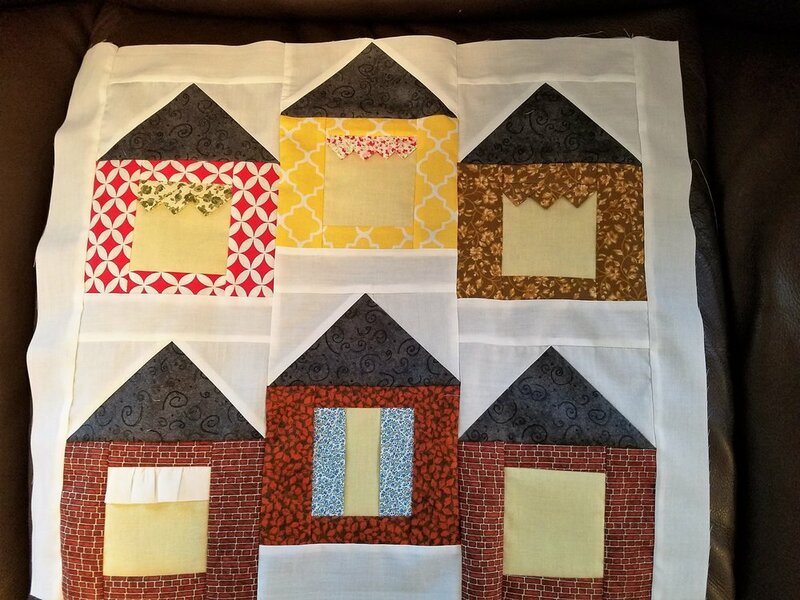 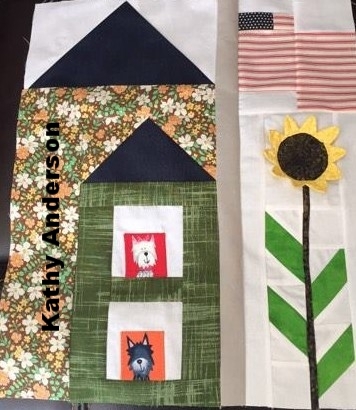 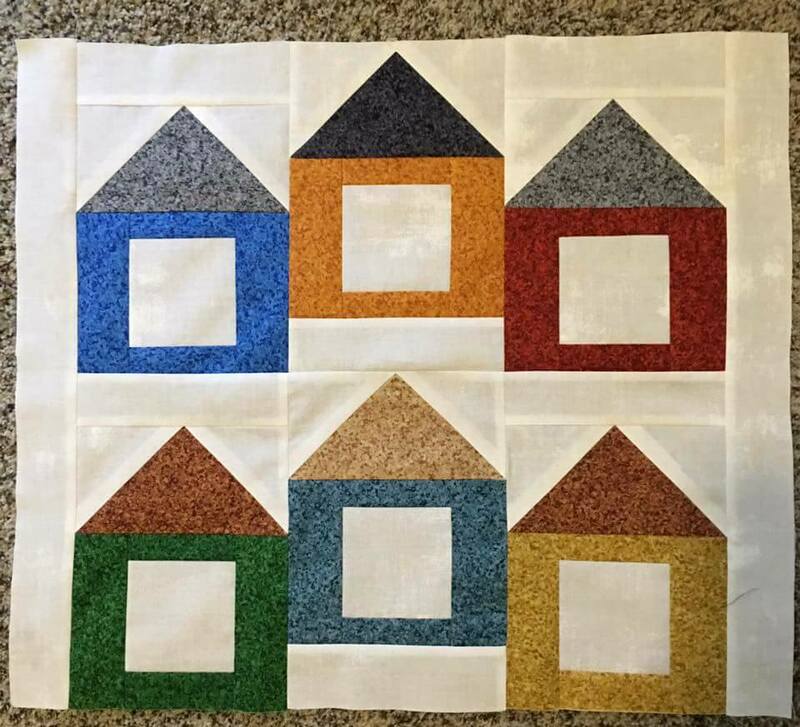 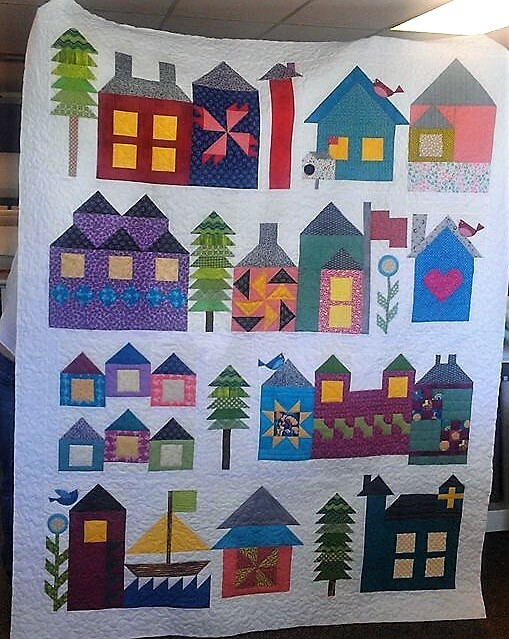 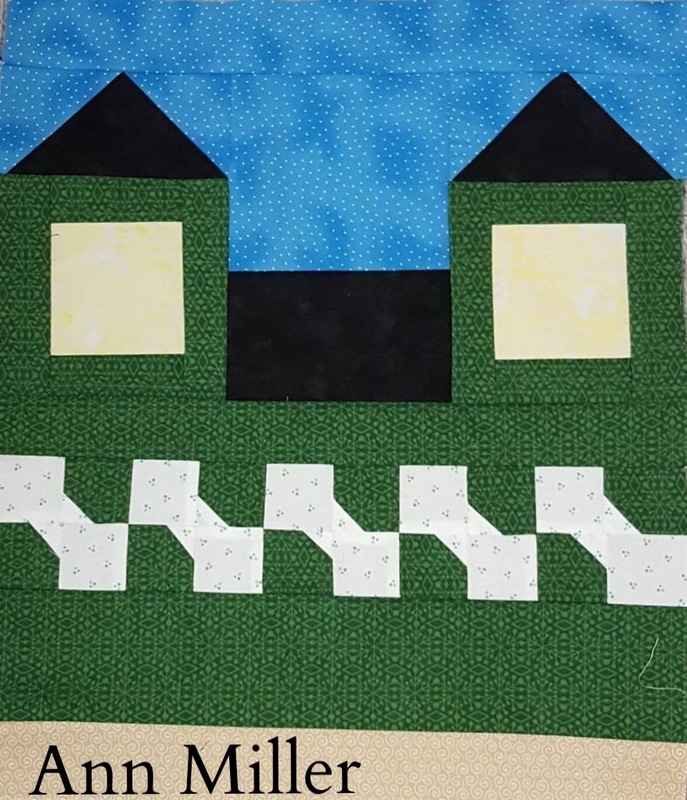 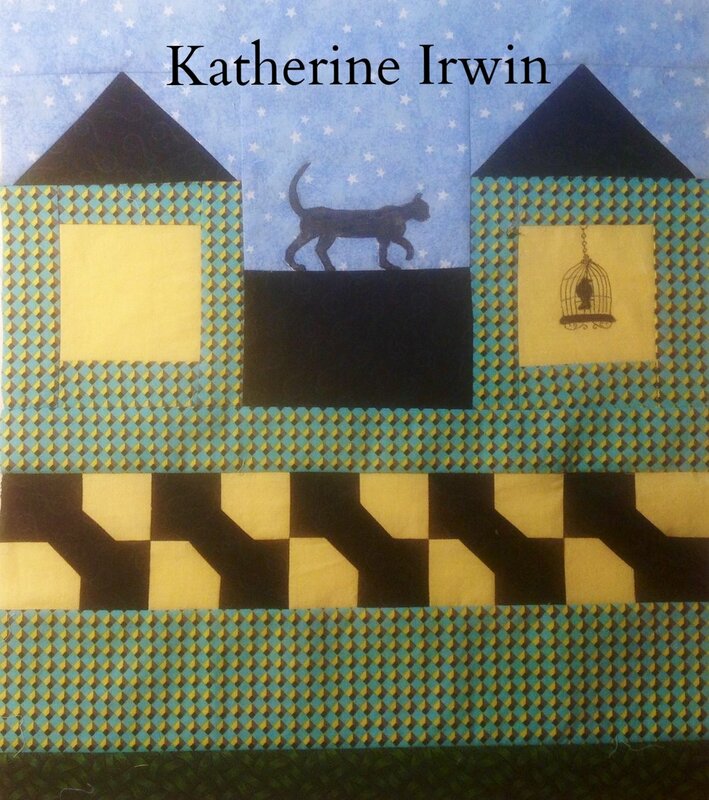 When the SEVENTH week starts Monday OCTOBER 16th a new contest for a new prize will begin, then end the following Sunday at Noon, and sew on and sew forth, until the neighborhood is completed. 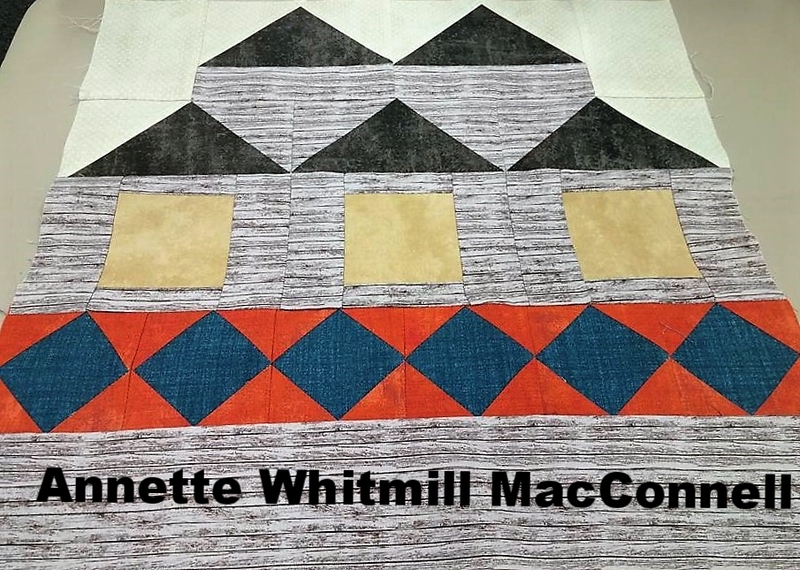 A RANDOM DRAWING WAS HELD AND THE WINNER FOR WEEK FIVE IS nancy vibeto. 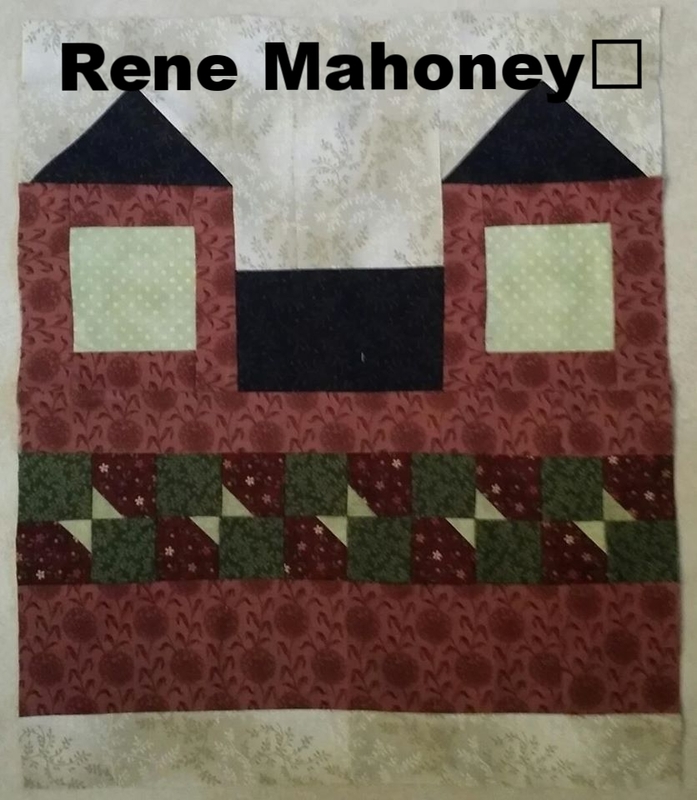 CONGRATULATIONS nancy! 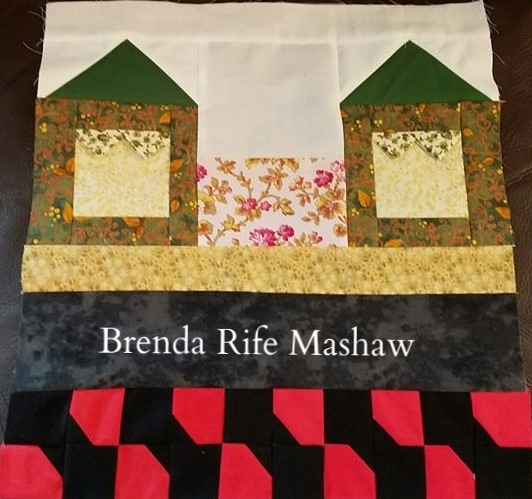 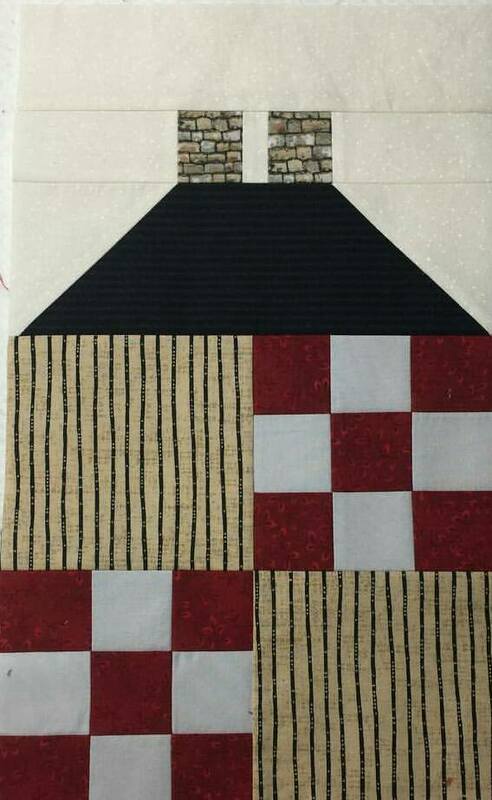 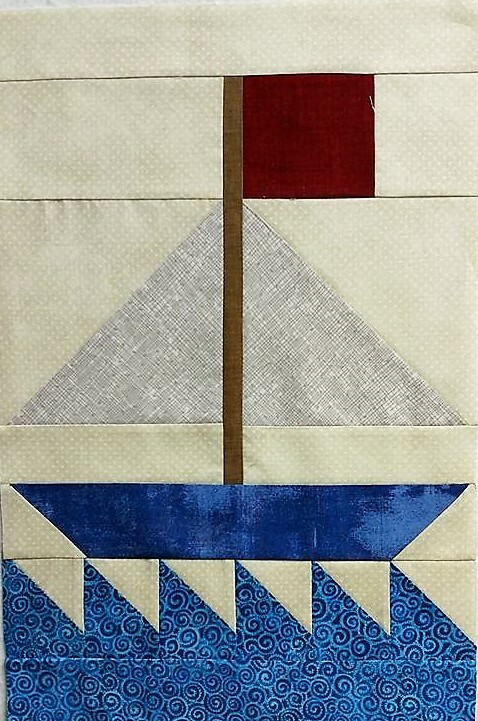 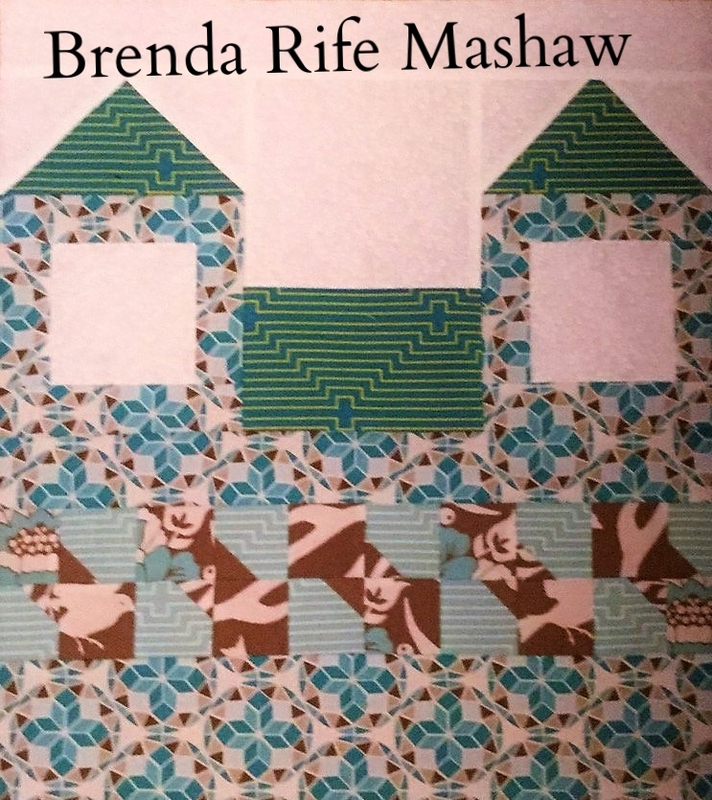 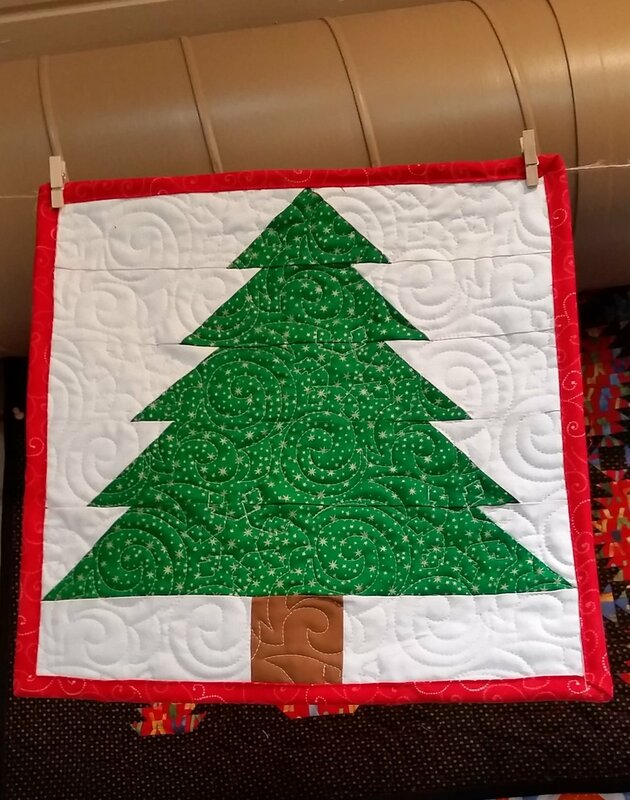 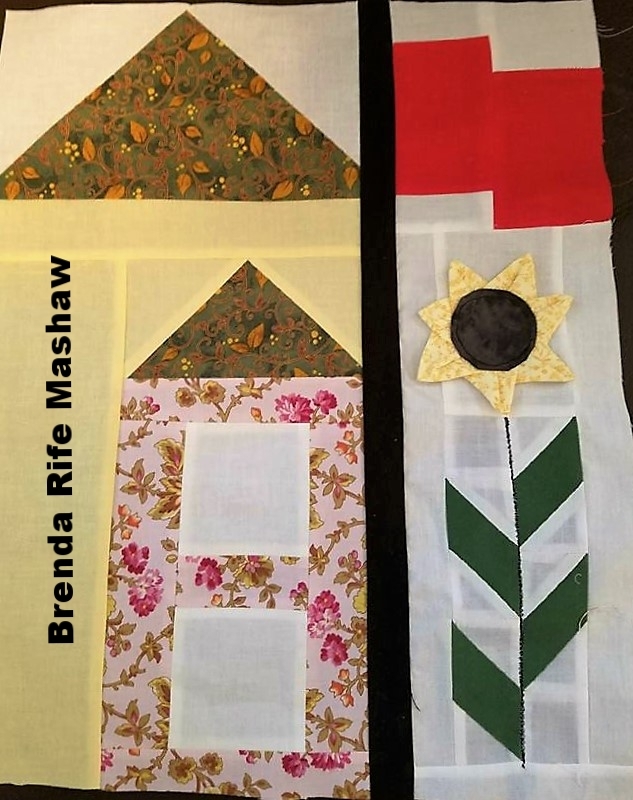 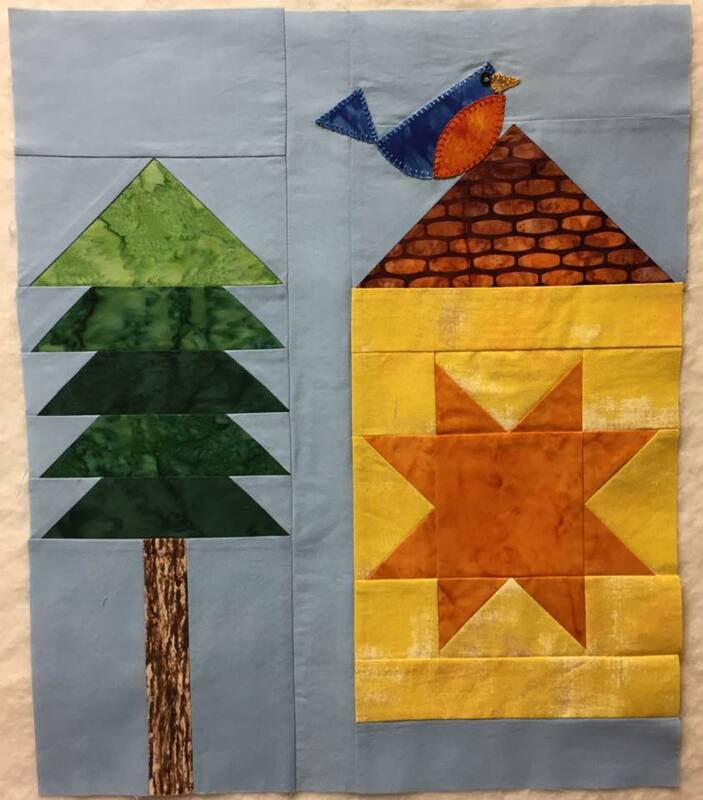 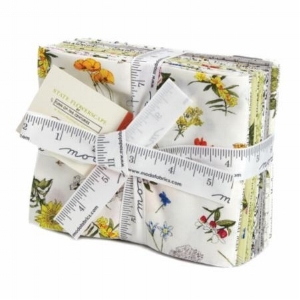 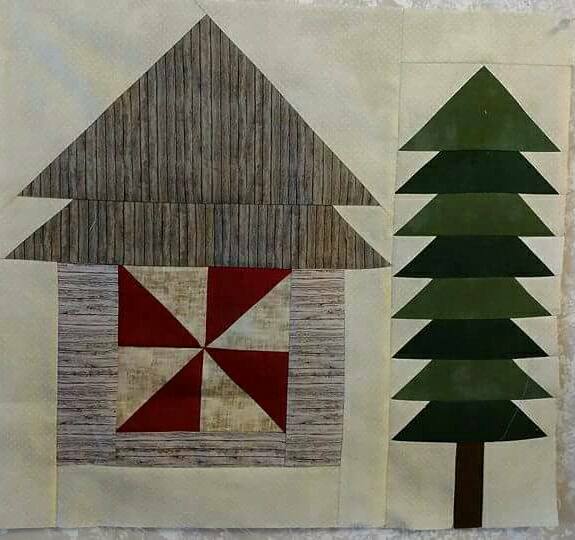 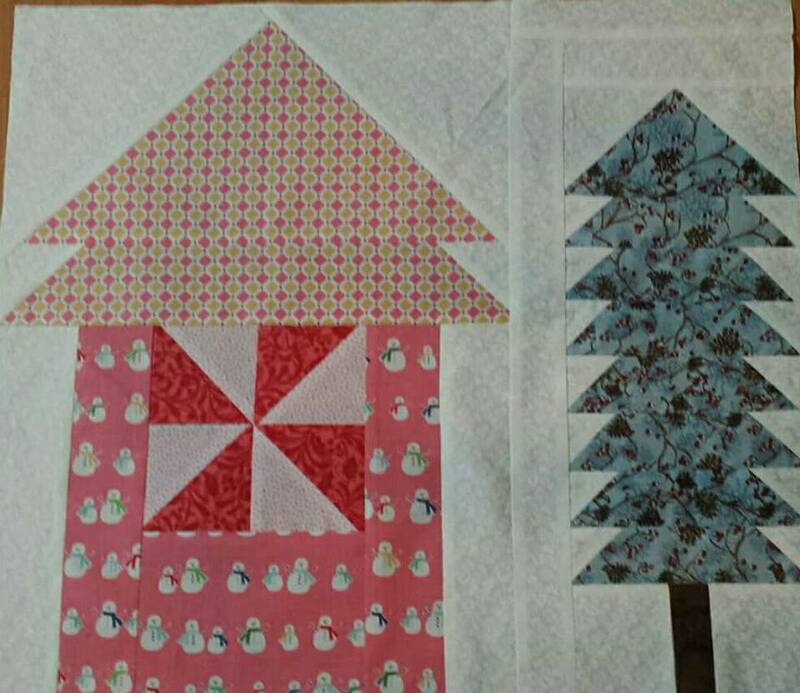 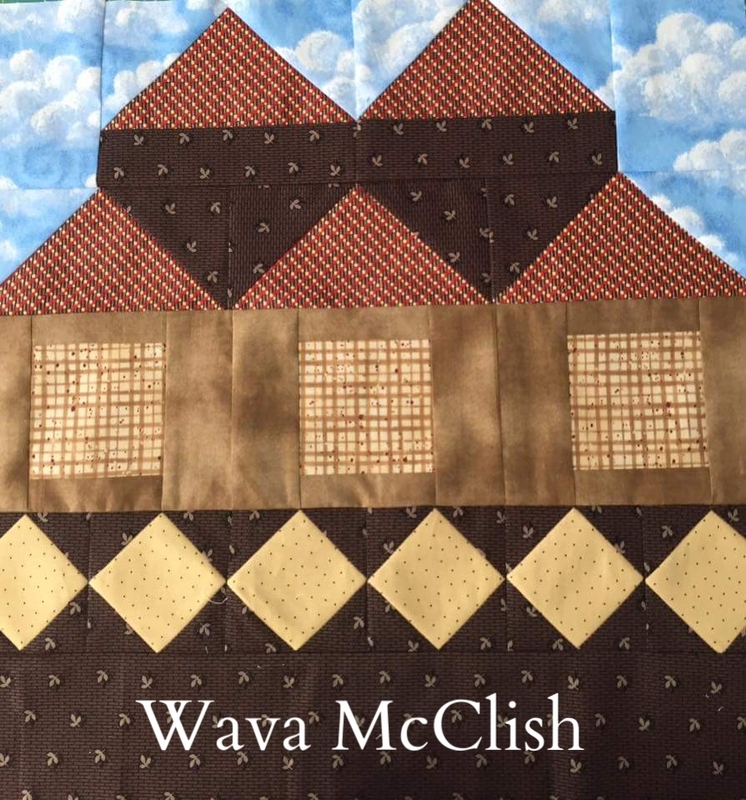 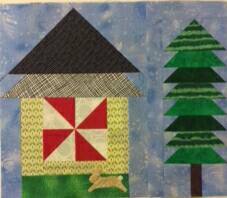 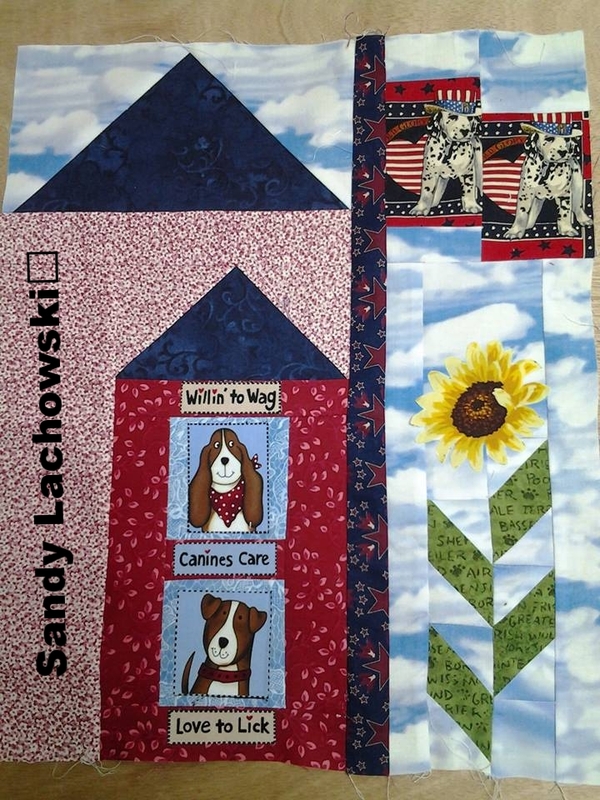 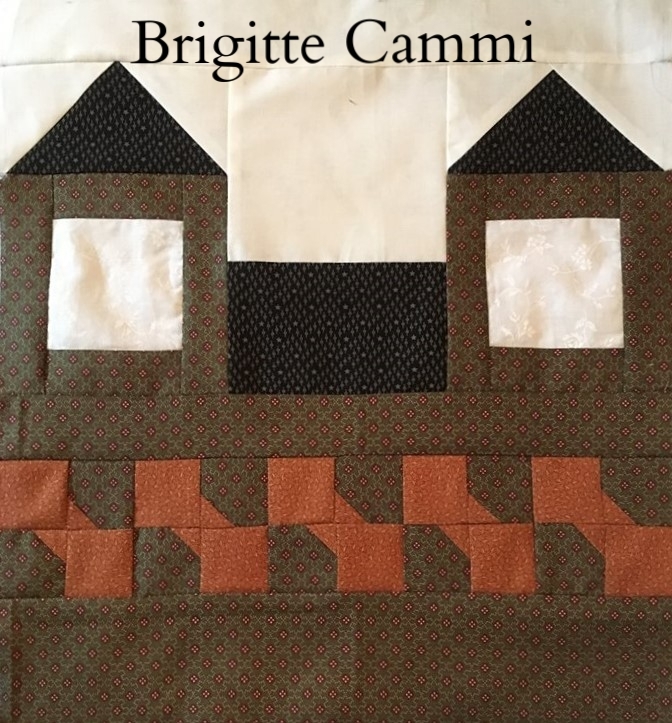 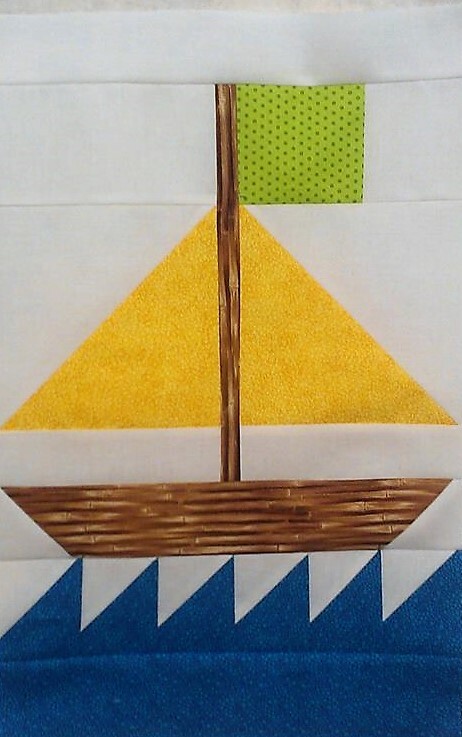 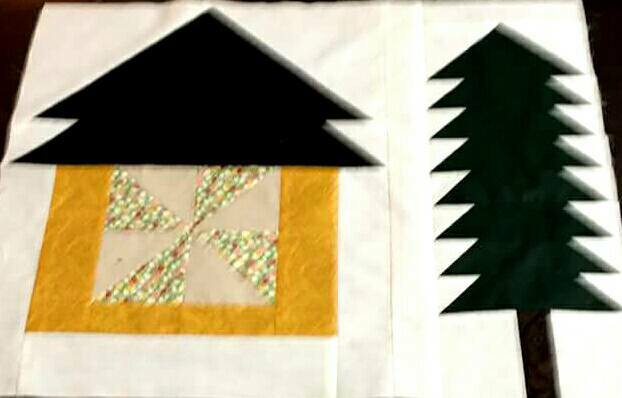 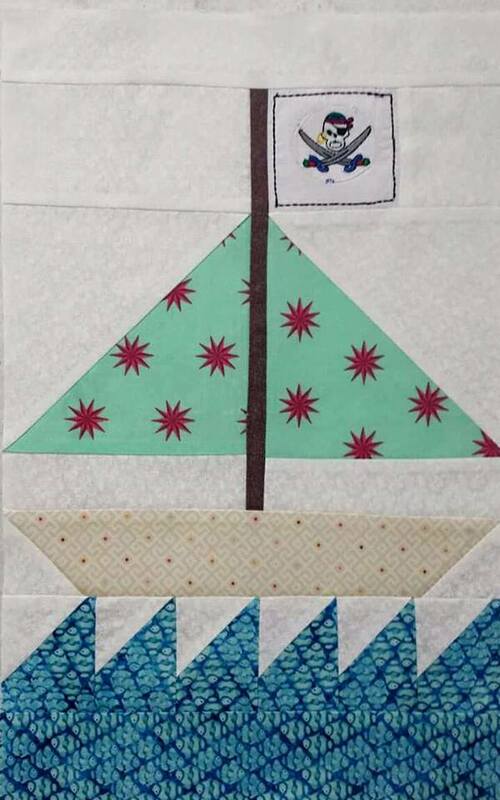 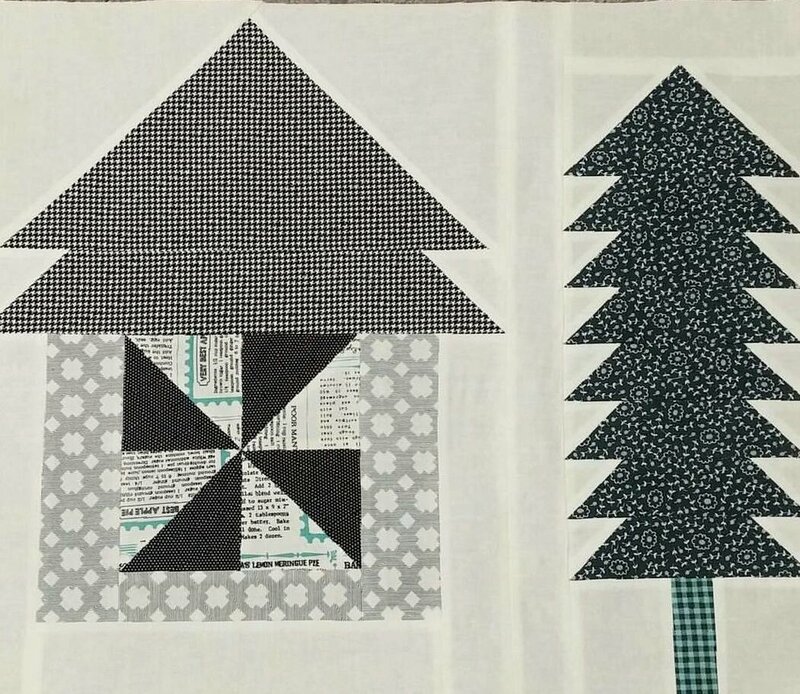 WE WILL GET YOUR Lakeland quilt kit( frivol #4) and finsihing YARDAGE SENT OFF TO YOU JUST AS SOON AS WE GET YOUR MAILING INFO. 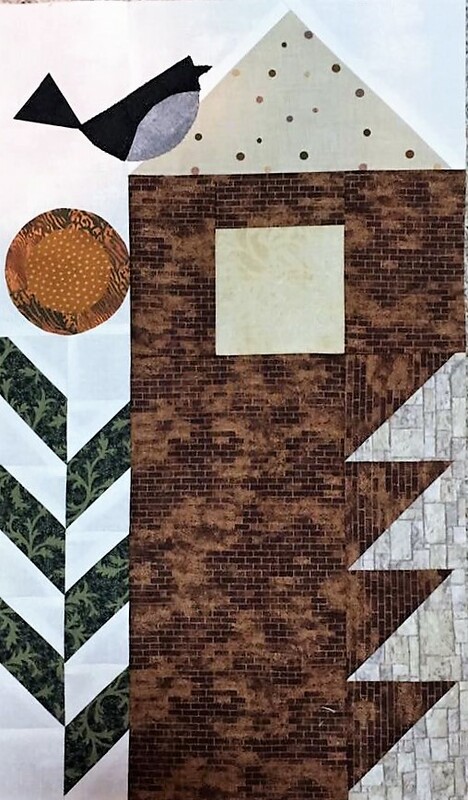 This bundle has a Silver Linings Layer Cake & a Southern Exposure Charm Pack - Both from Laundry Basket Quilts for Moda and TWO big spools of Aurifil thread in colors to match these fabrics. 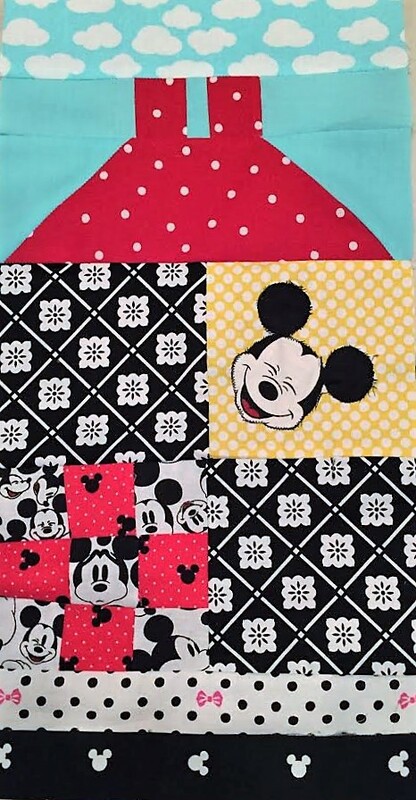 Oh my , that is a nice prize bundle. 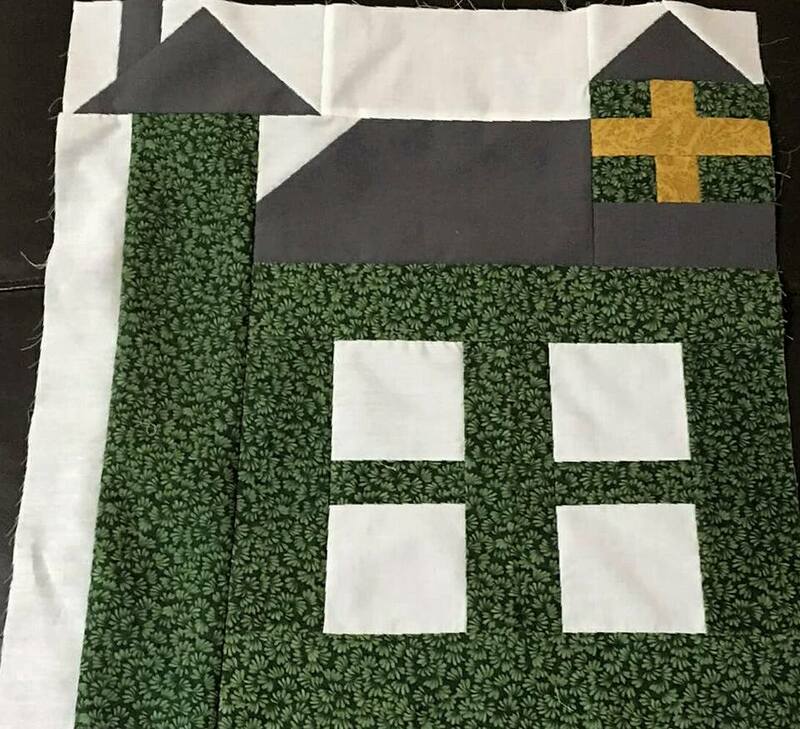 GET A PHOTO OF THIS WEEK'S HOUSE (BLOCK 6) TO ME BY SUNDAY, OCTOBER 16TH, AT 12 NOON AND YOU'LL BE ENTERED FOR A CHANCE TO WIN THIS PRIZE.